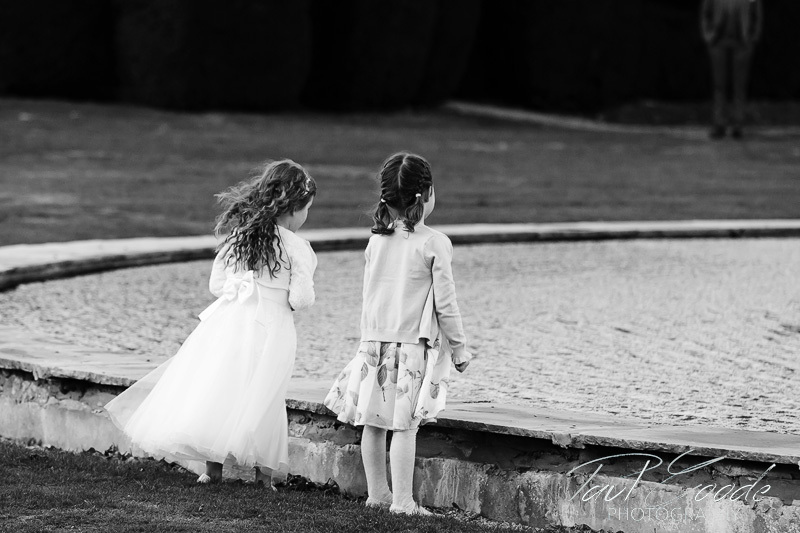 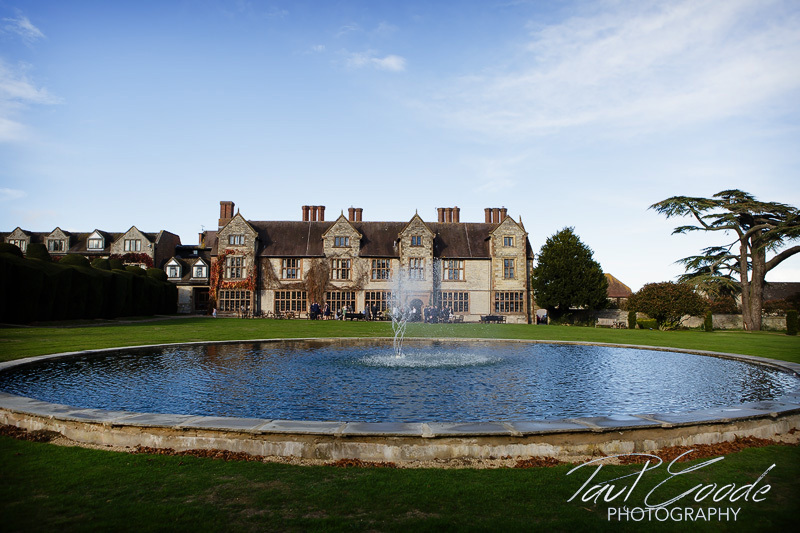 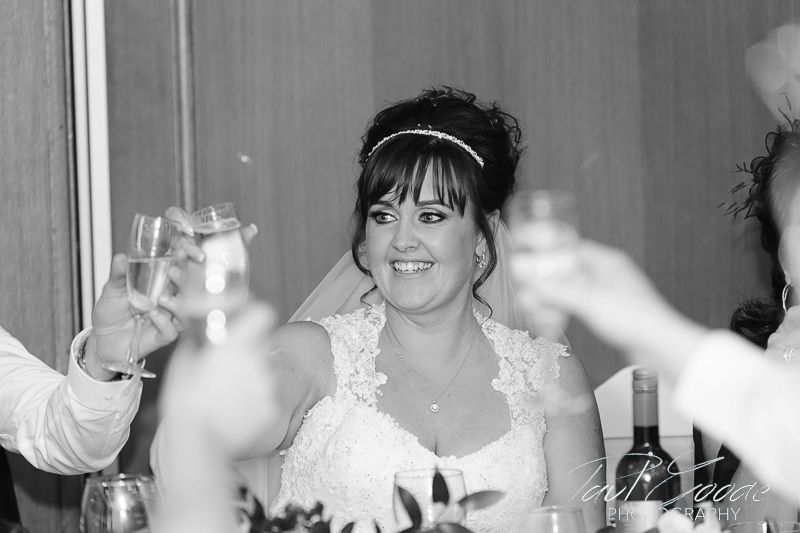 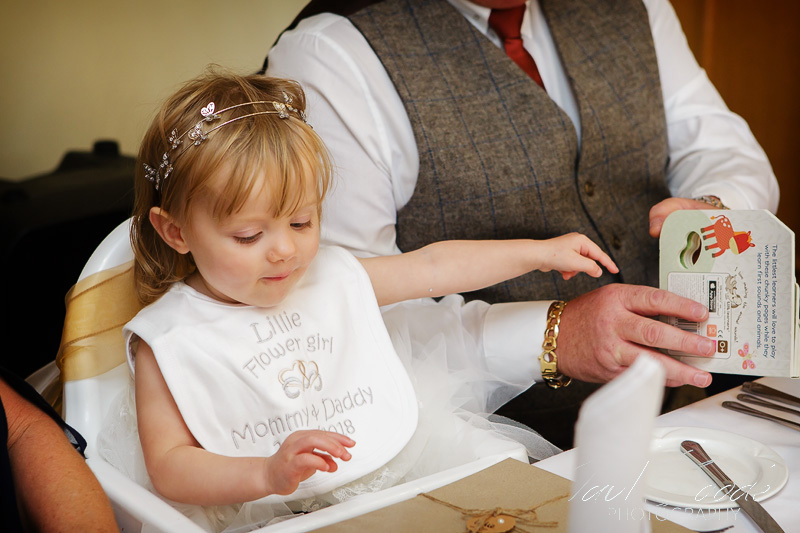 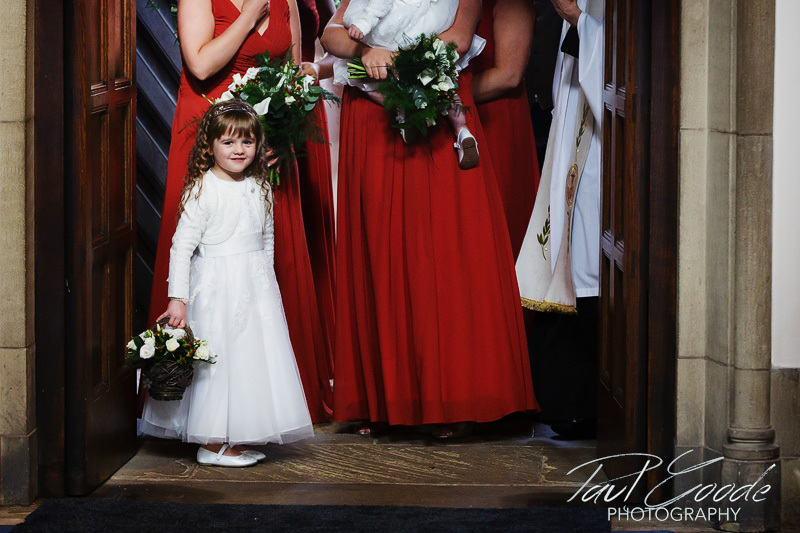 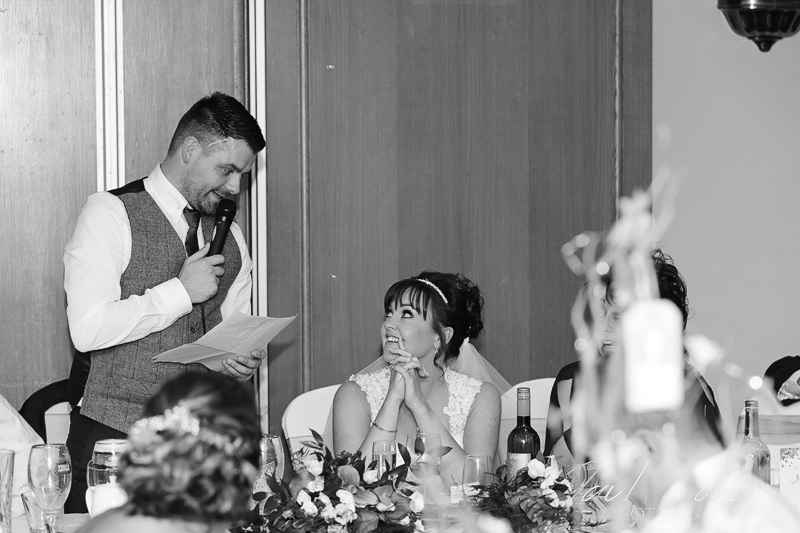 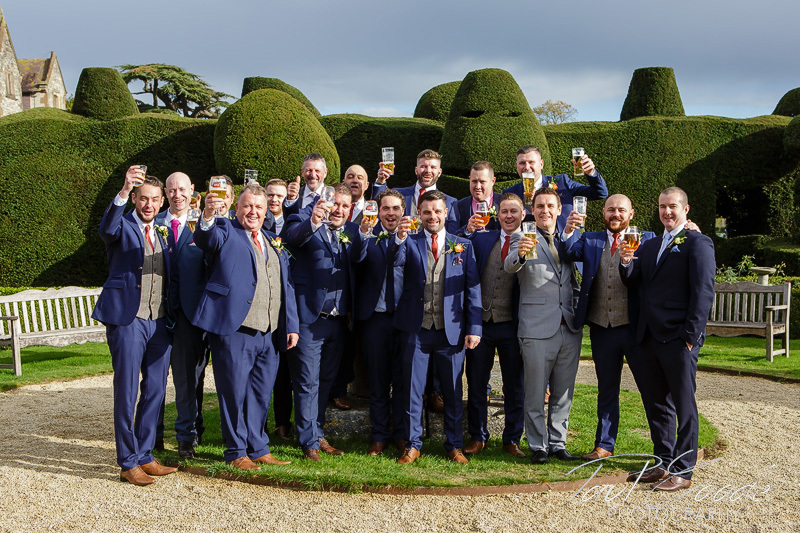 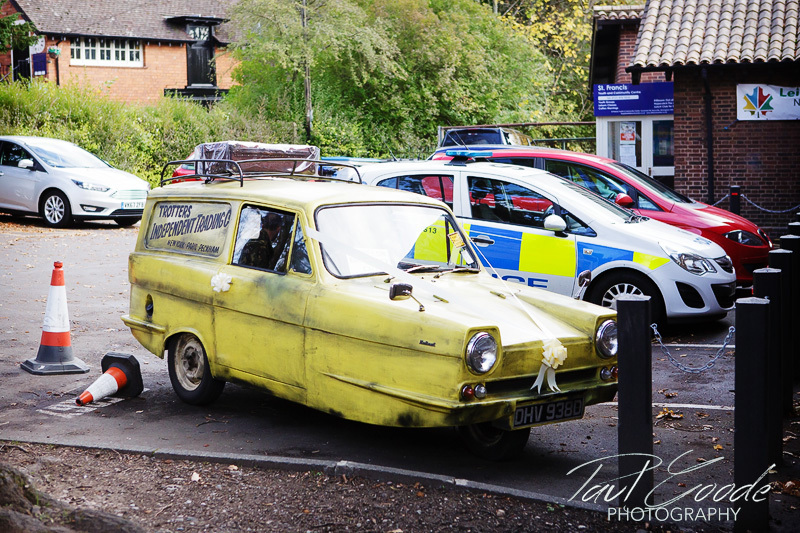 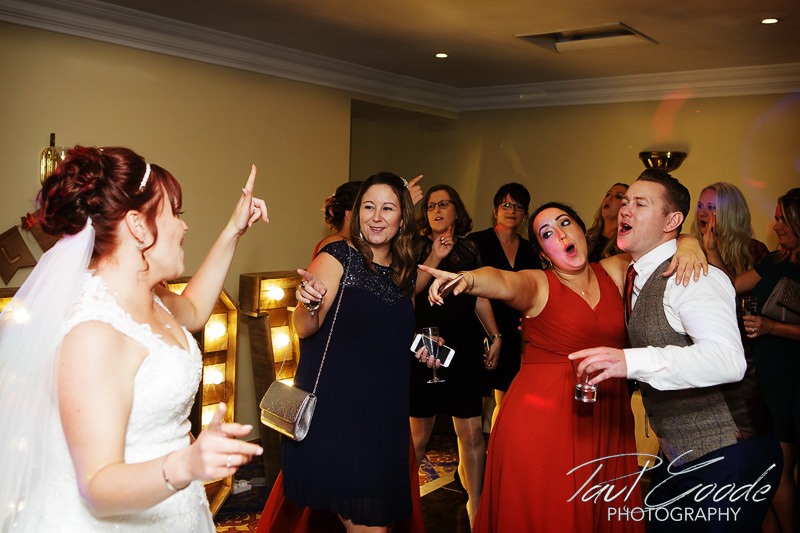 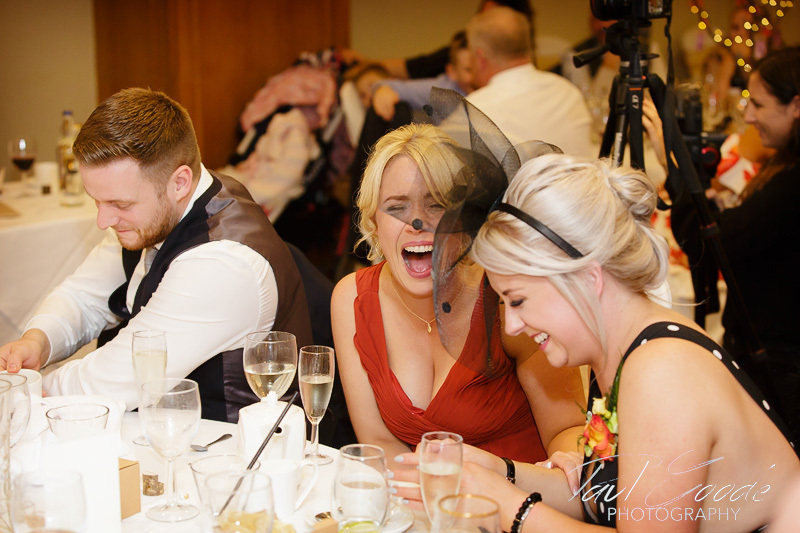 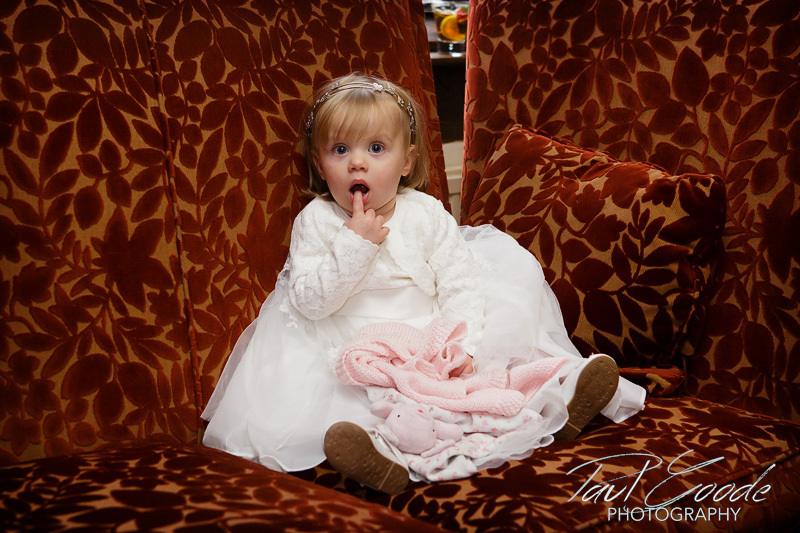 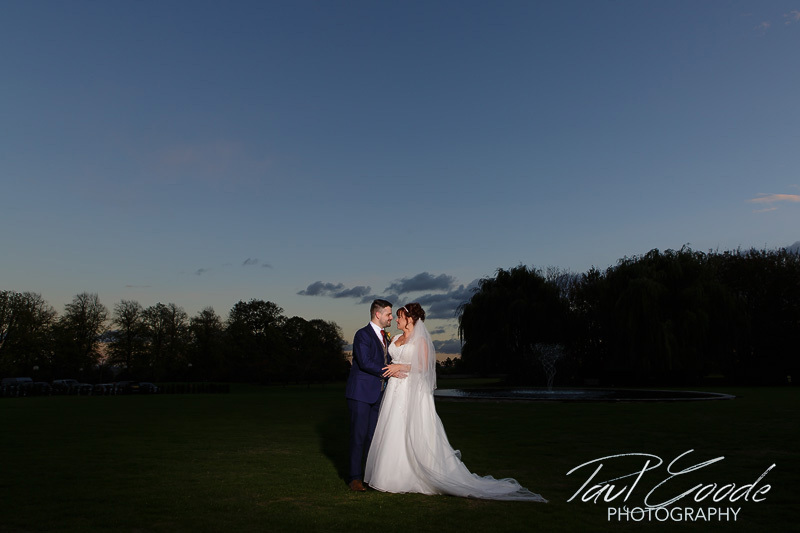 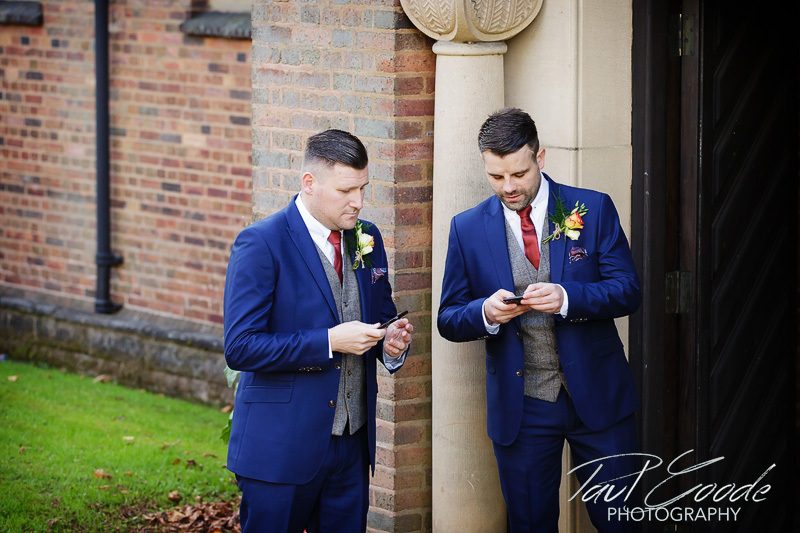 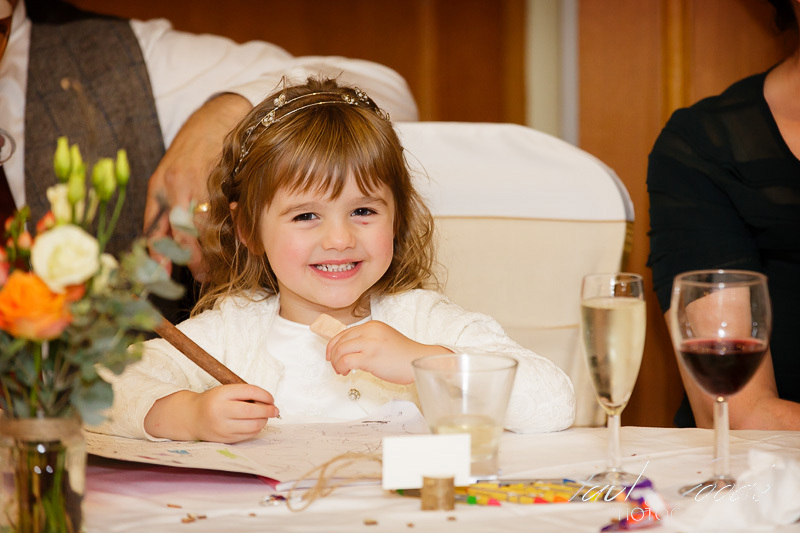 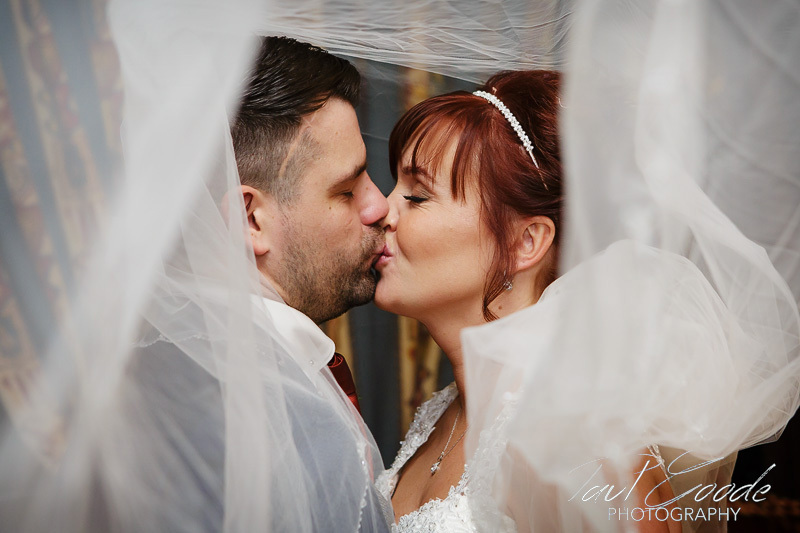 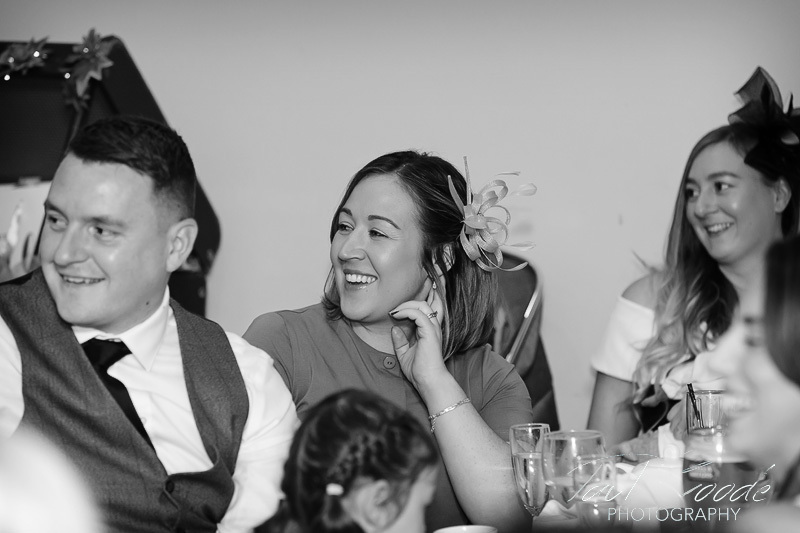 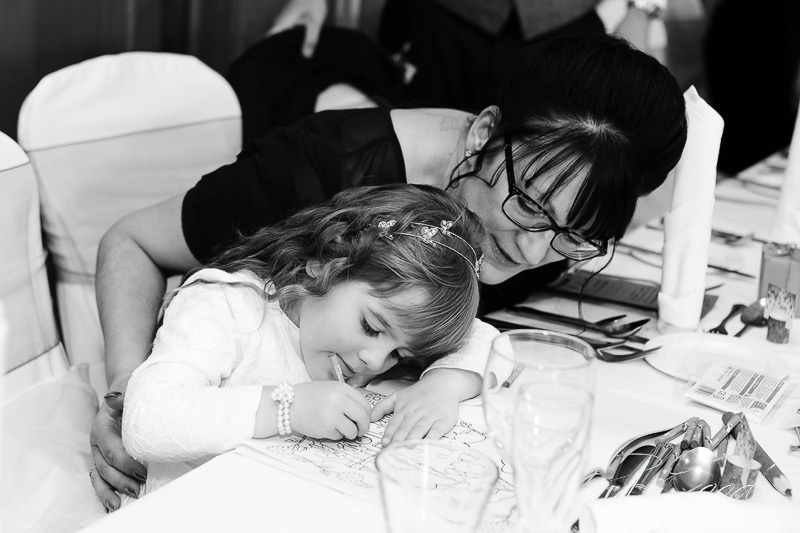 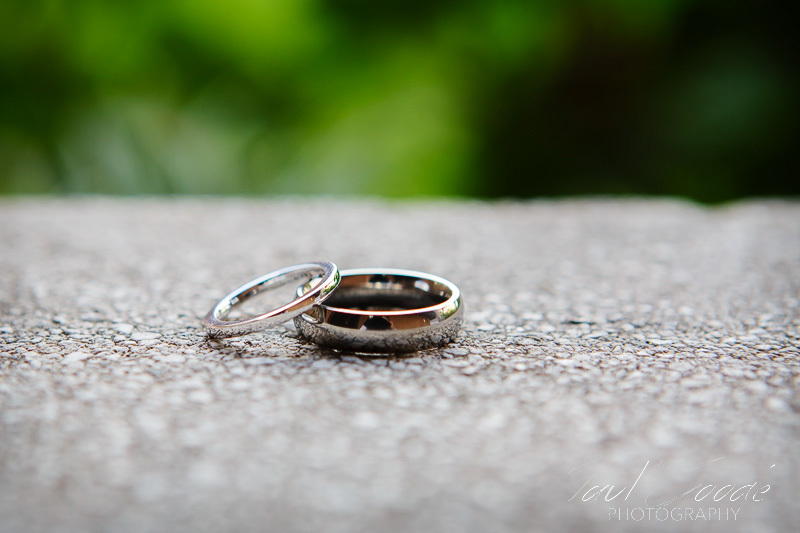 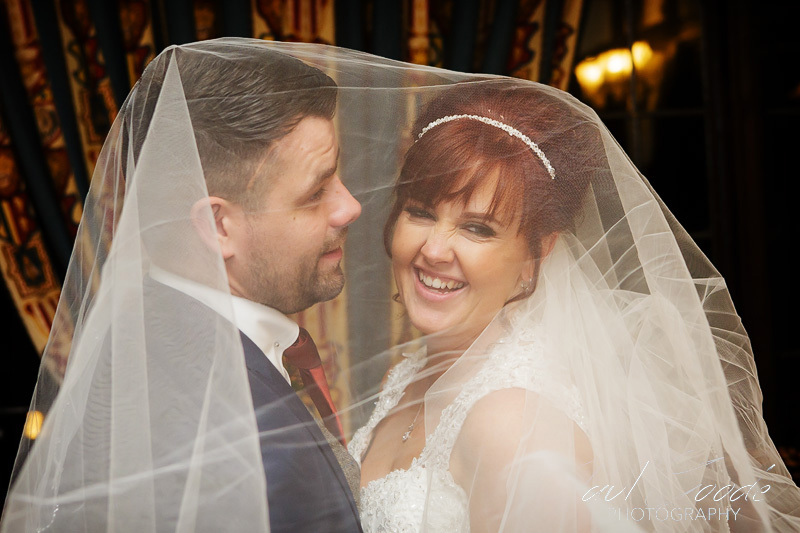 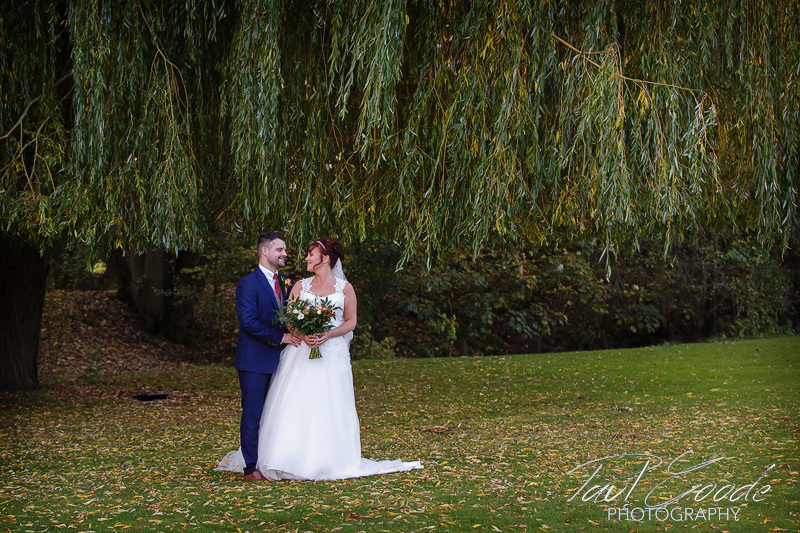 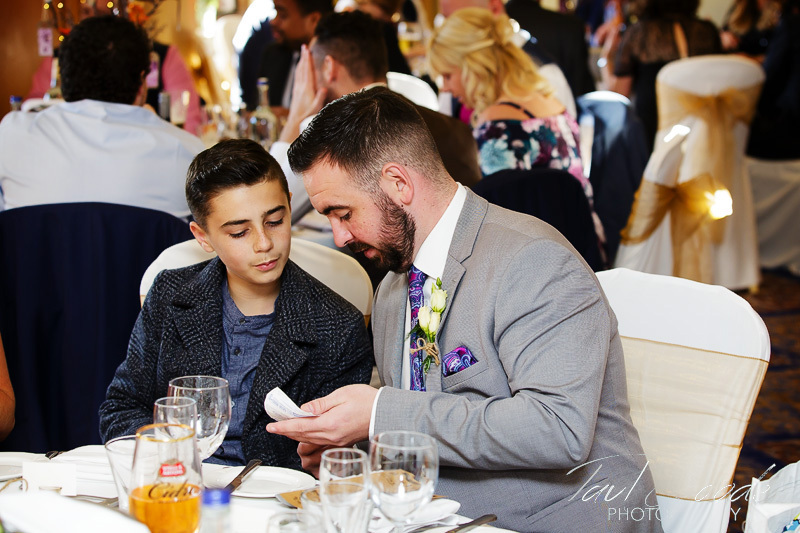 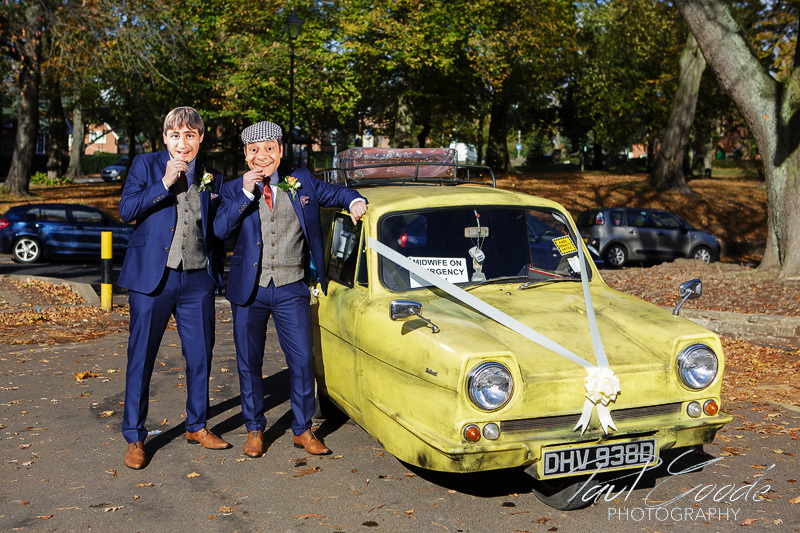 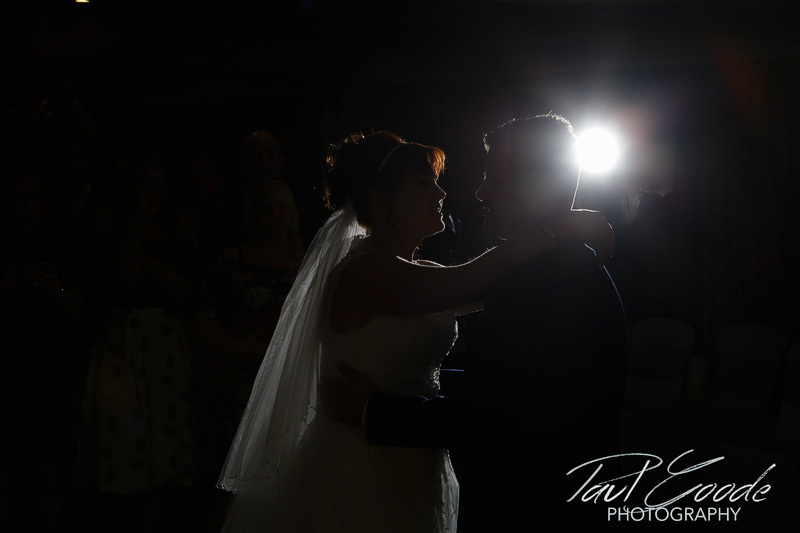 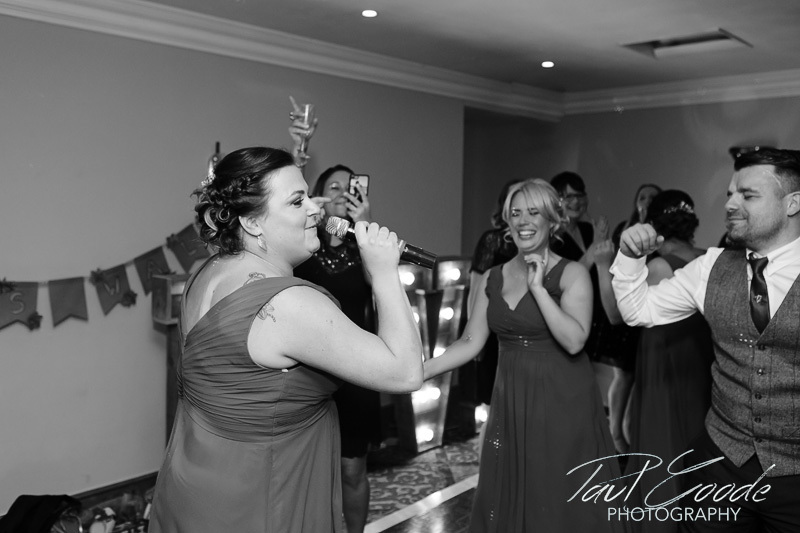 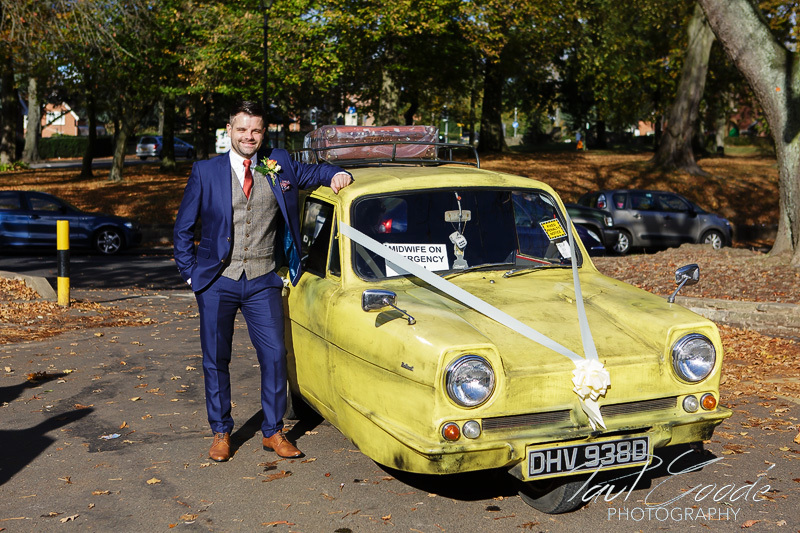 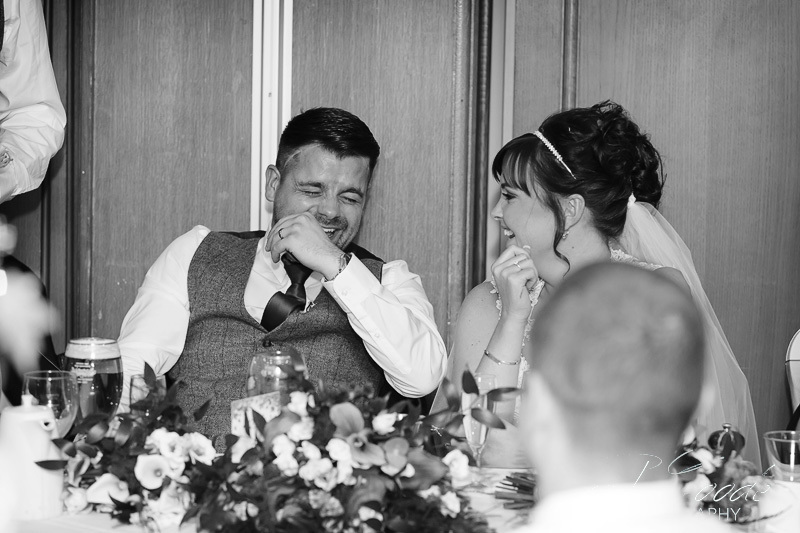 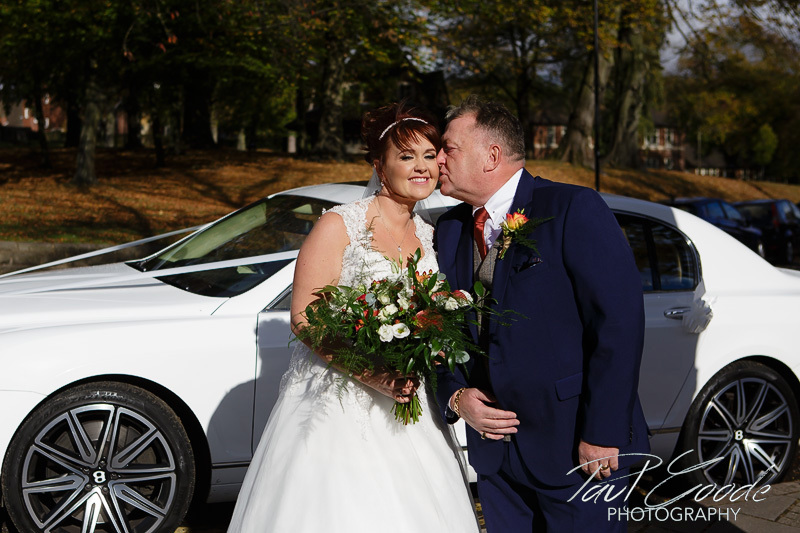 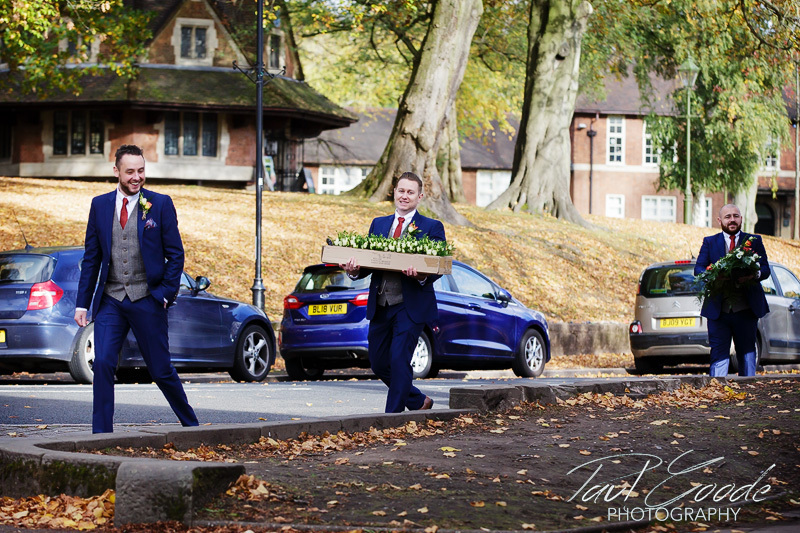 Leanne and Rob’s wedding reception & evening celebrations took place in Stratford Upon Avon in Warwickshire where I provided wedding photography at The Billesley Manor Hotel. 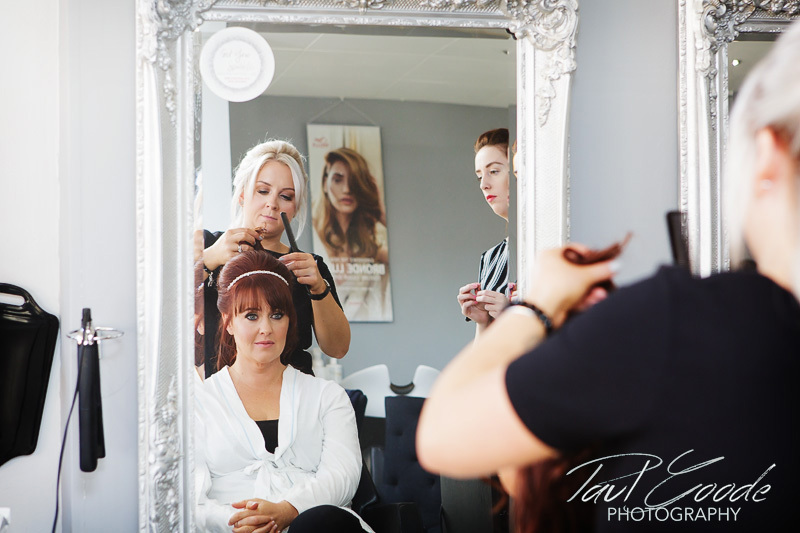 The first part of Leanne and Rob’s wedding day started off a little closer to home for me, catching up with Leanne in Northfield, at Stage 23 hairdressers. 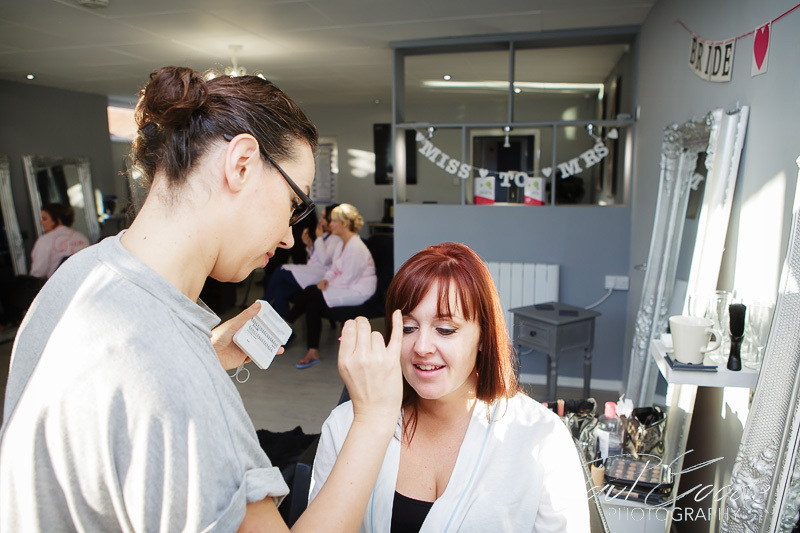 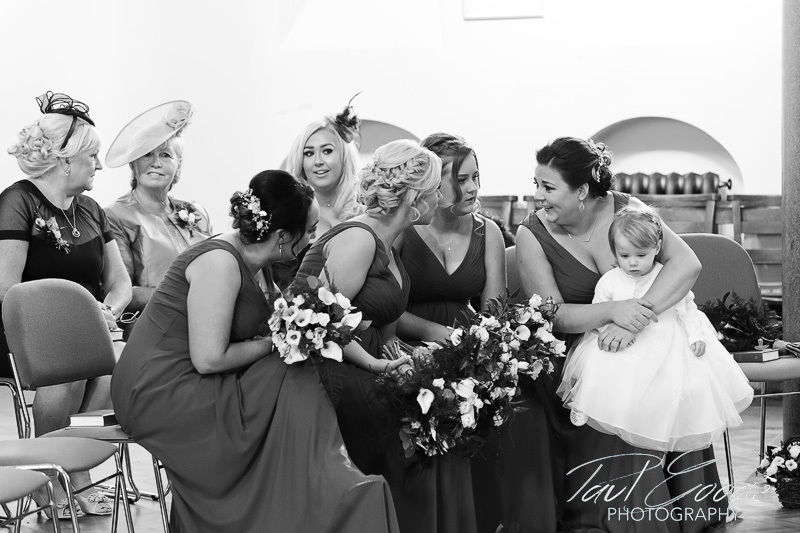 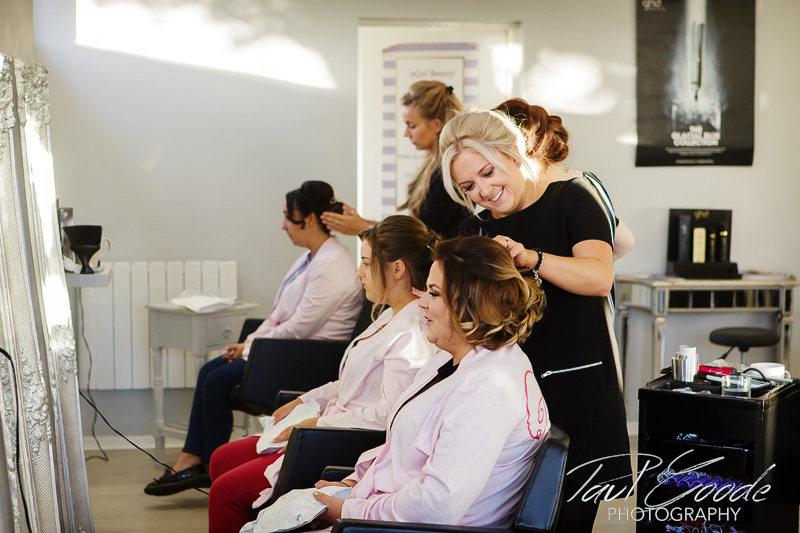 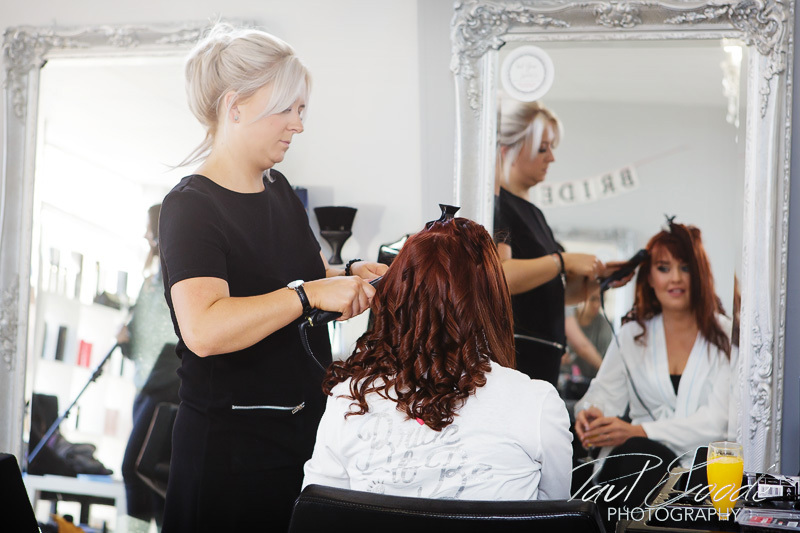 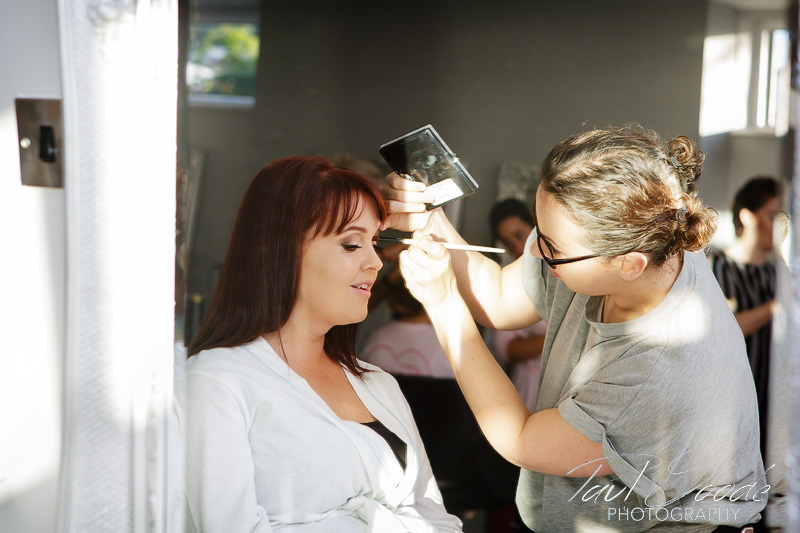 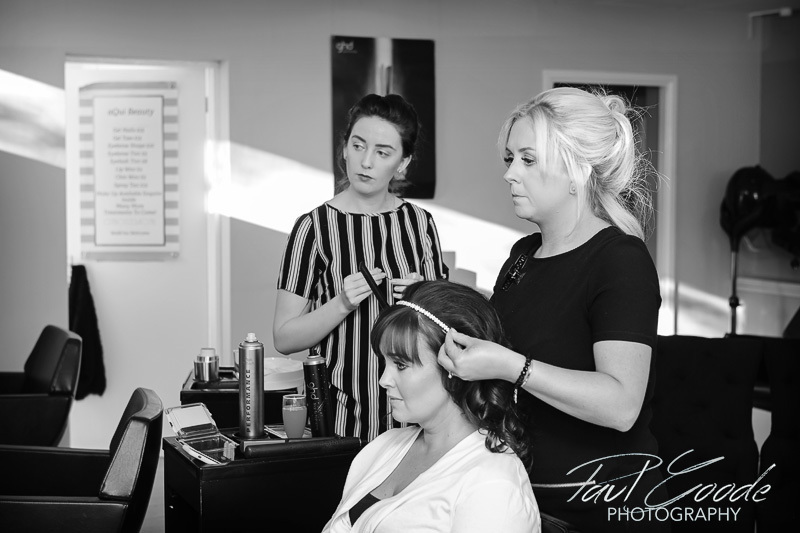 Leanne and her bridesmaids were having a really enjoyable and relaxed time, having final touches to their hair and make up applied. 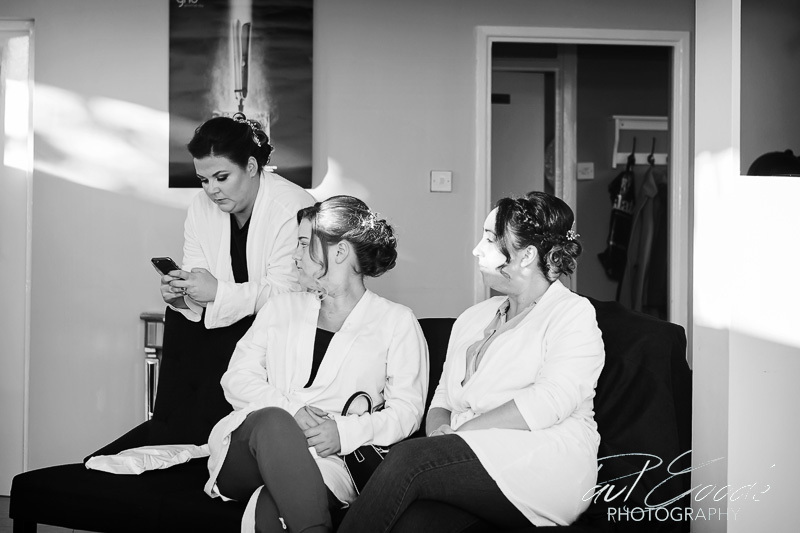 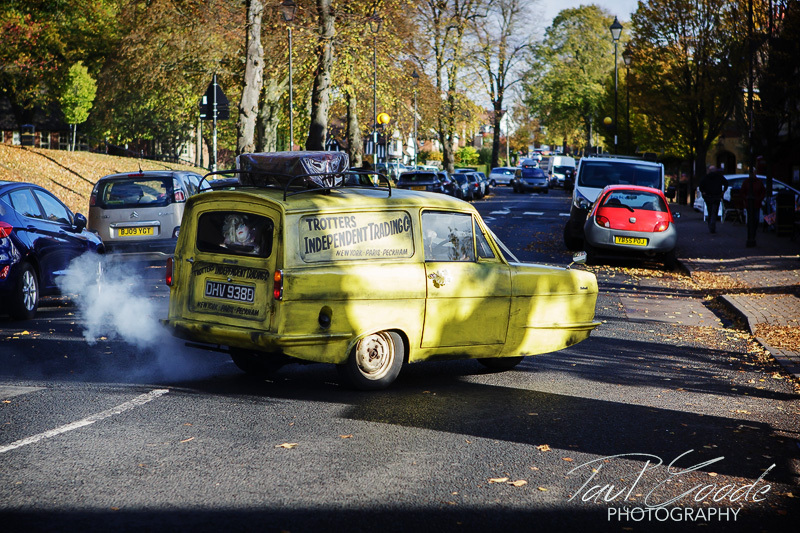 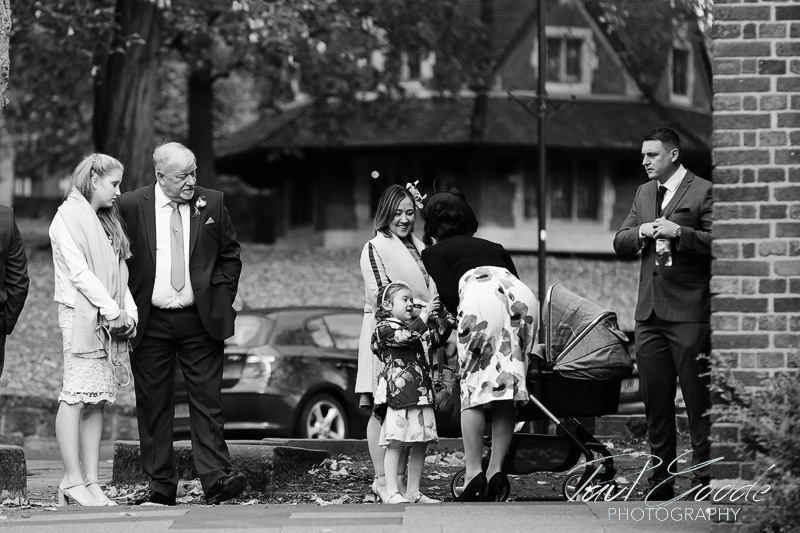 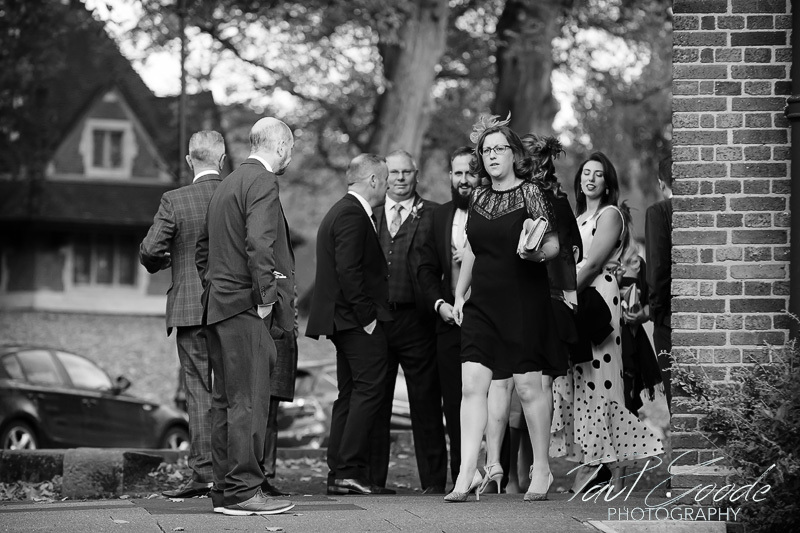 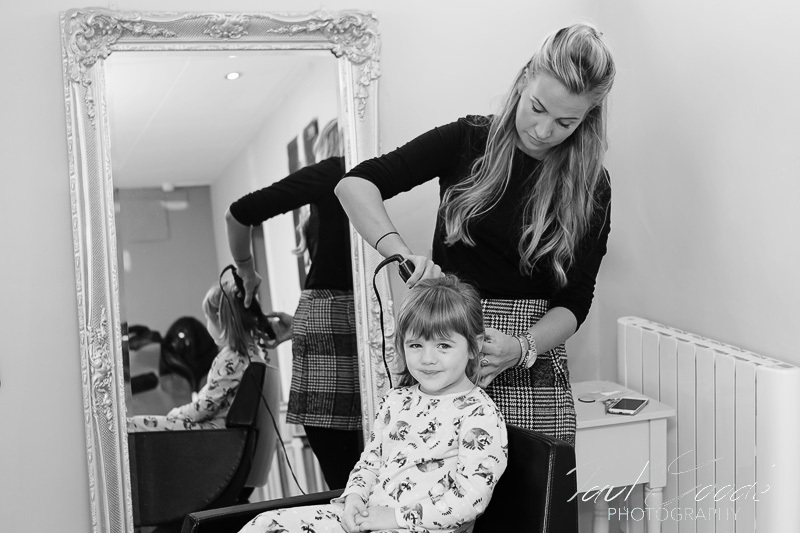 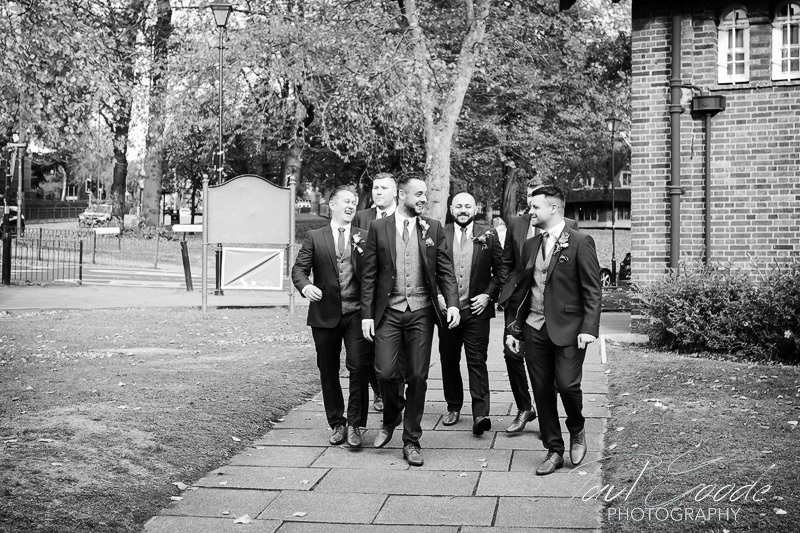 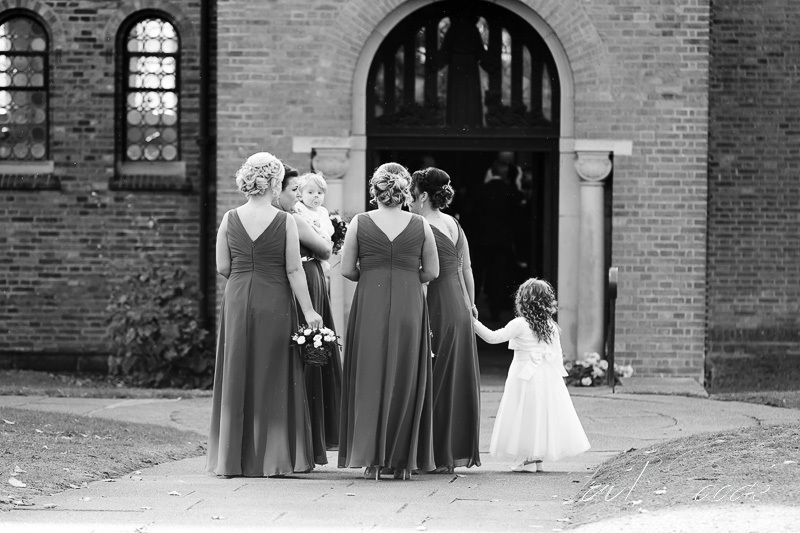 As Leanne and the bridal party left the hairdressers to head over to her Mum’s house for final stages of bridal prep I joined them for a short while before heading off to meet up with Rob & the guests. 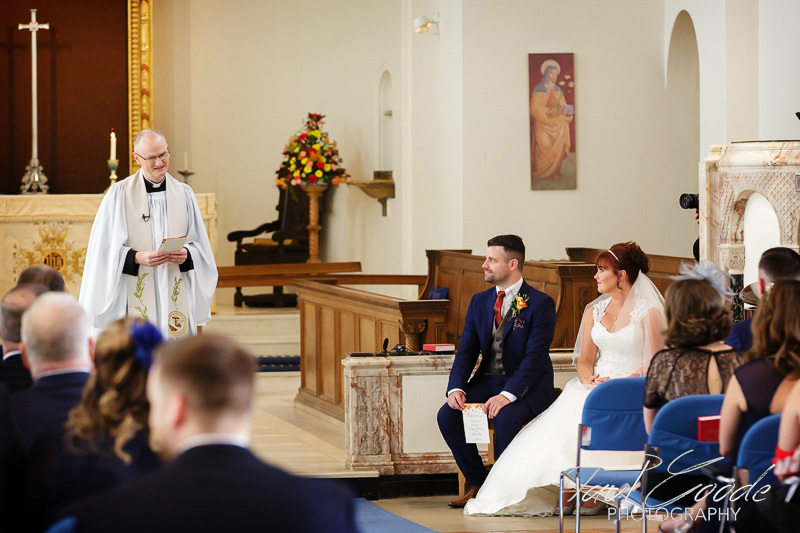 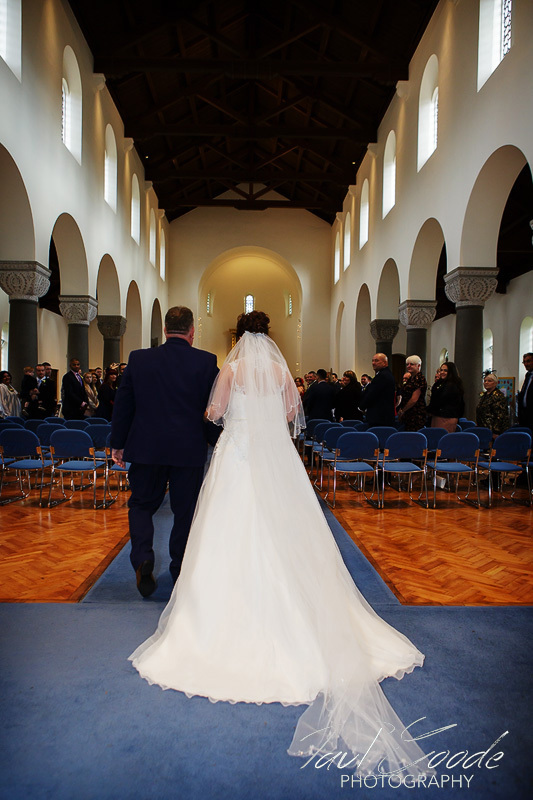 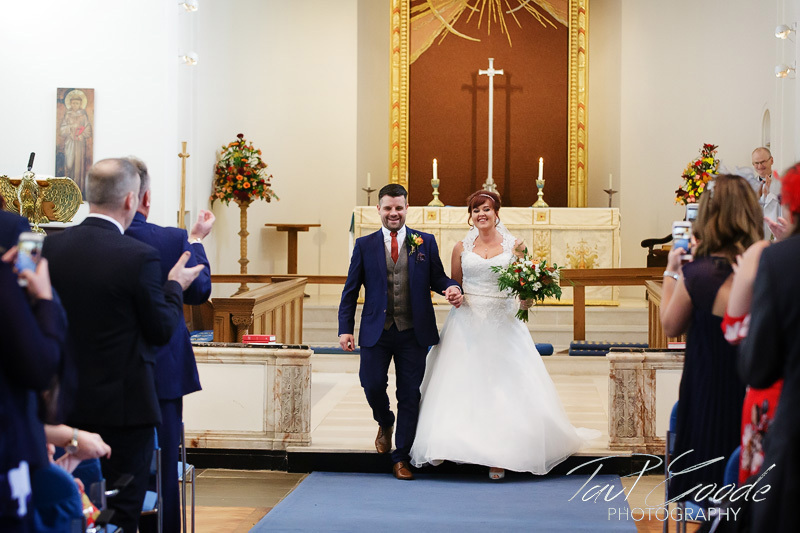 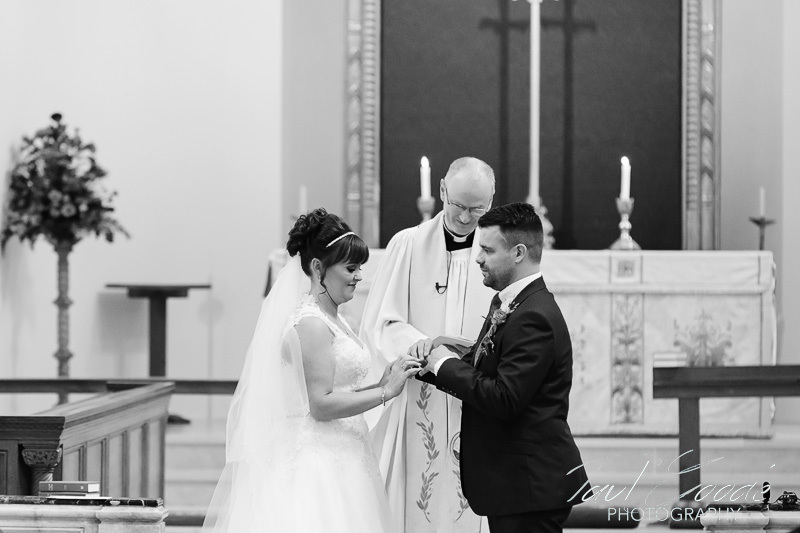 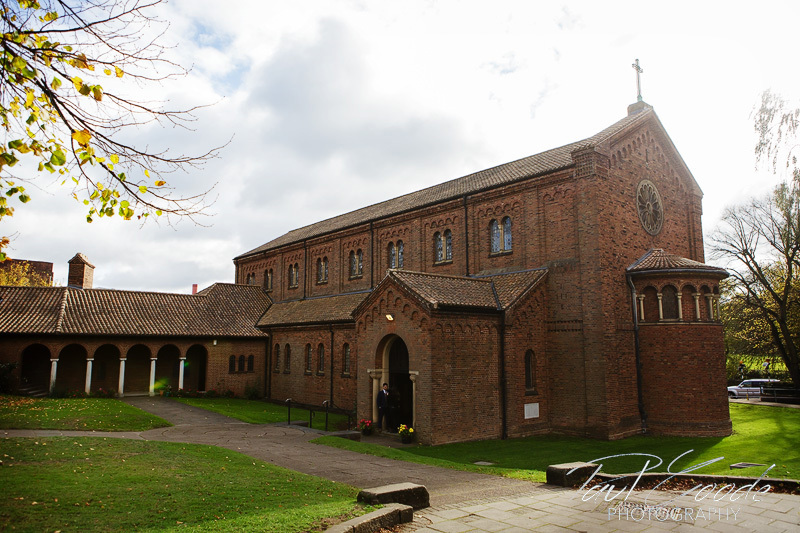 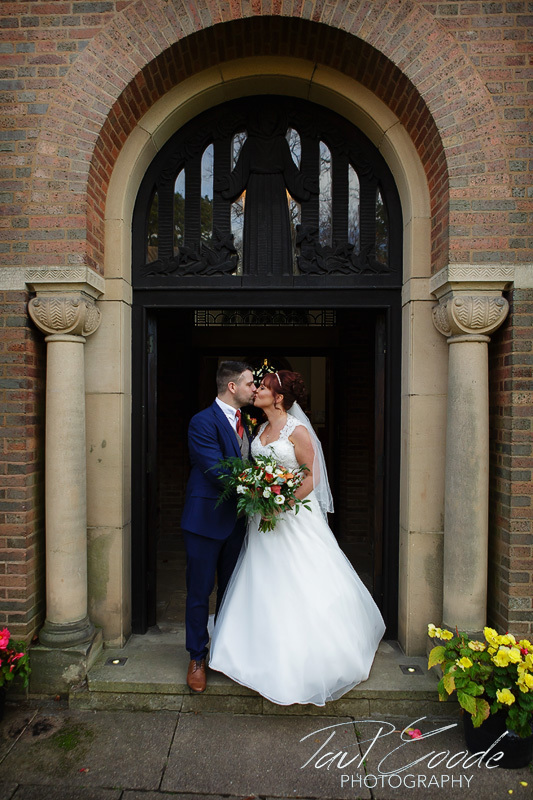 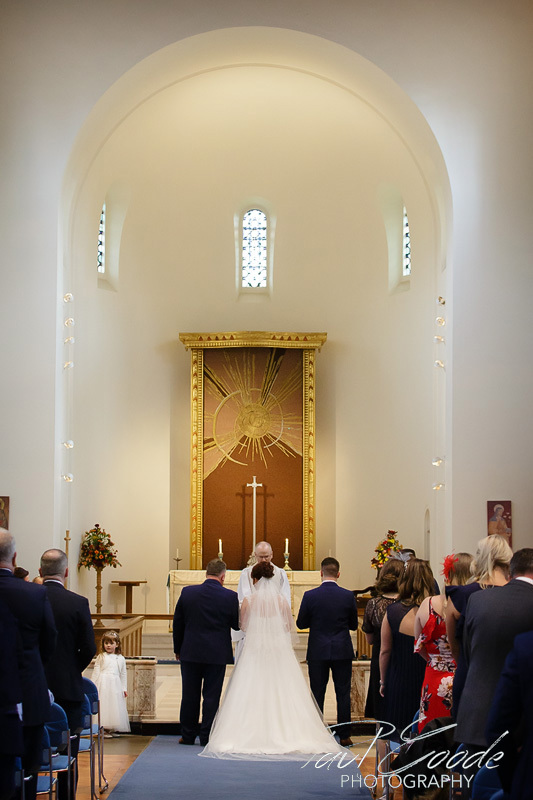 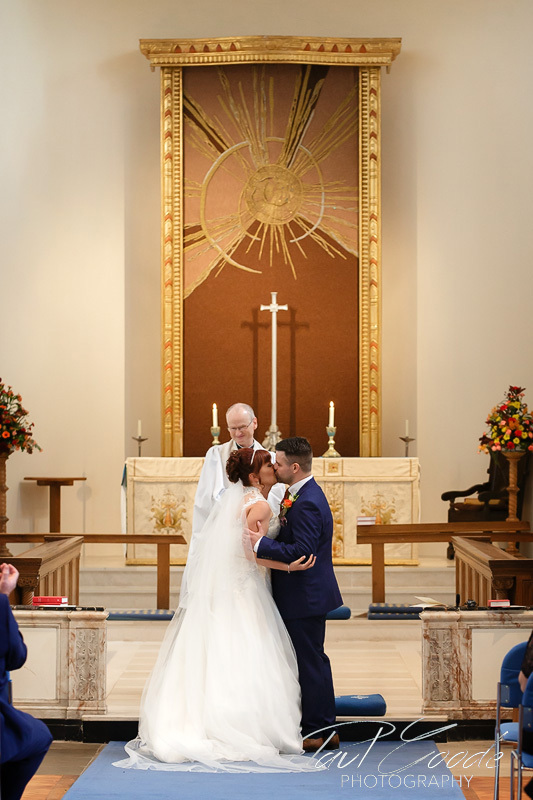 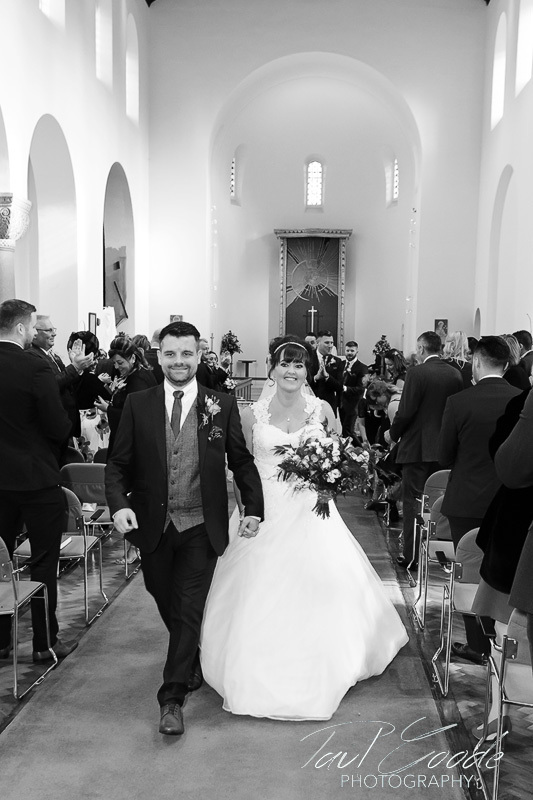 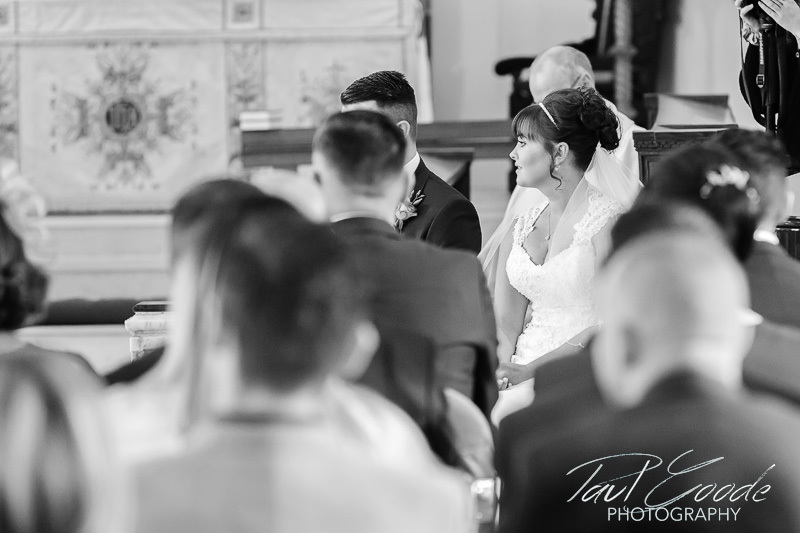 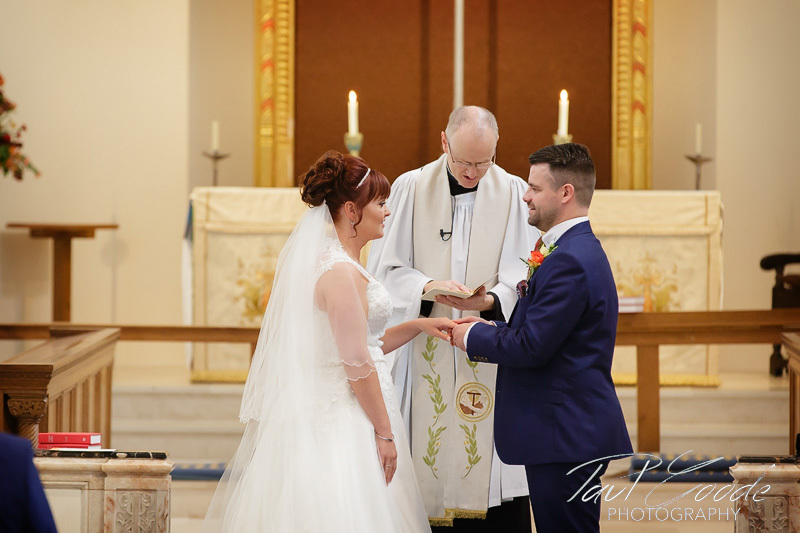 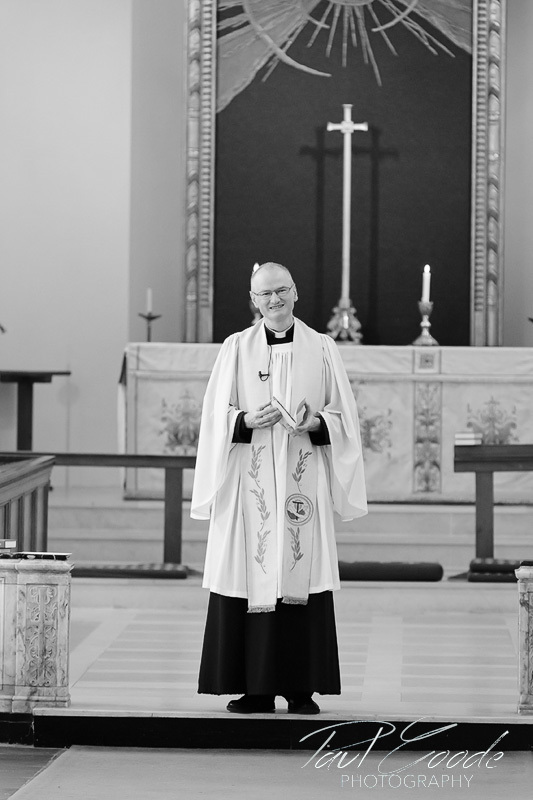 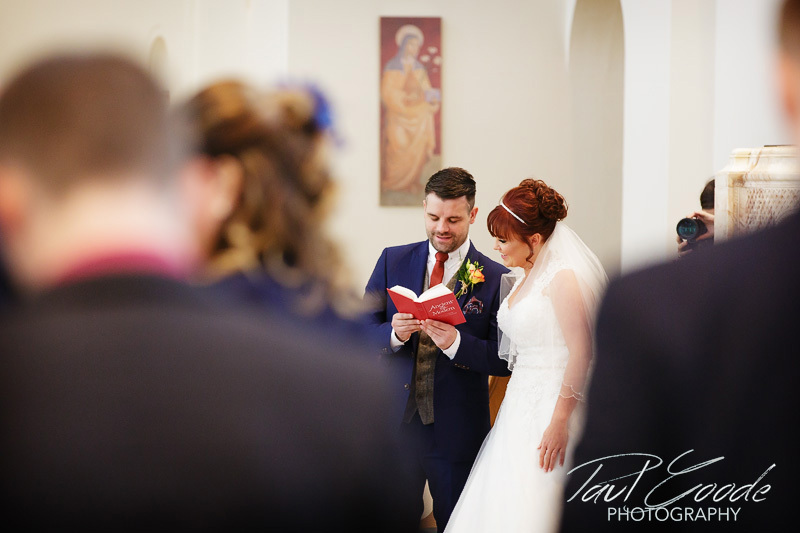 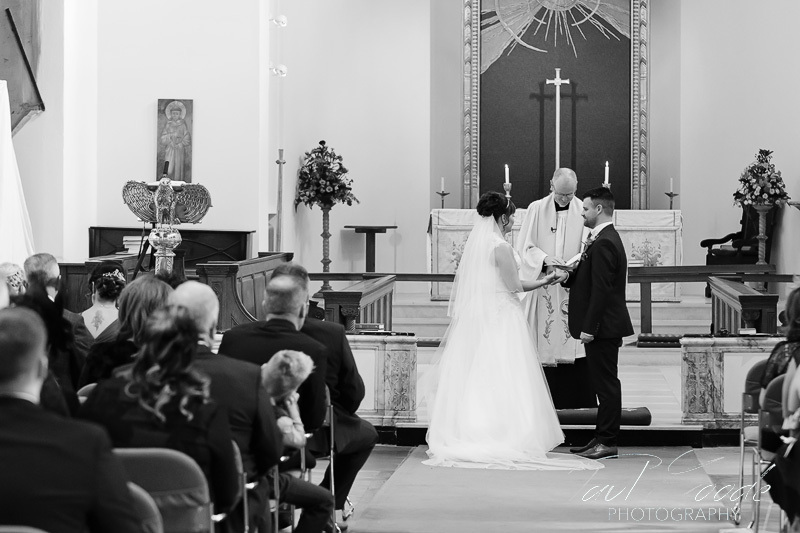 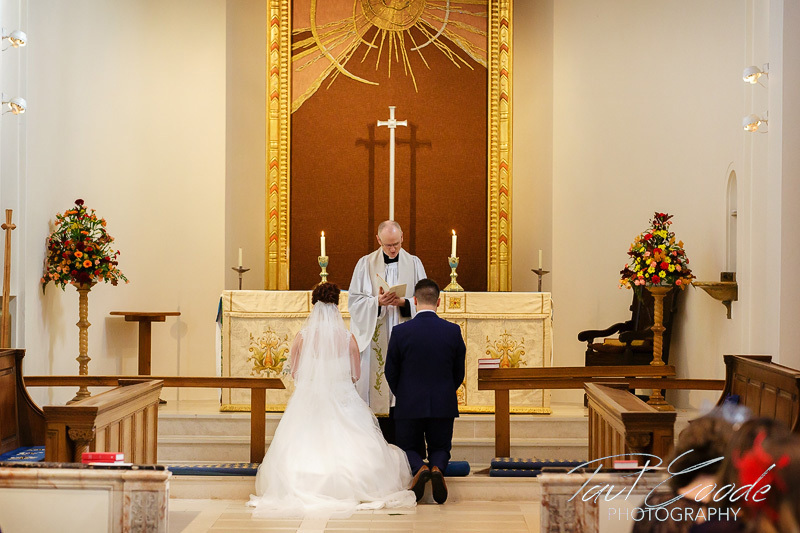 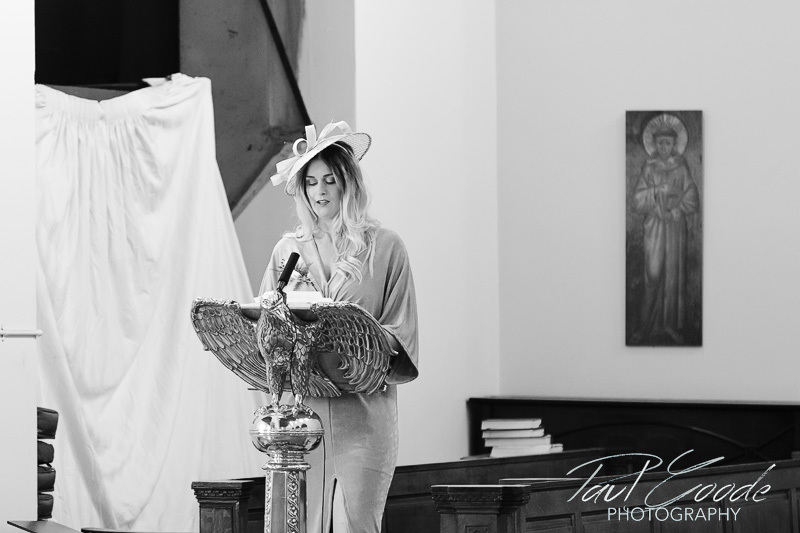 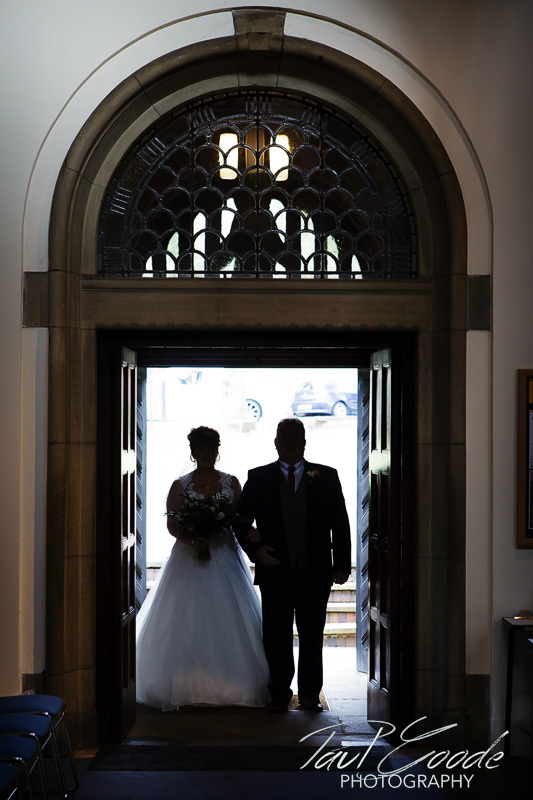 Inside the beautiful St Francis church, Reverand Babington conducted a lovely wedding ceremony for Leanne, Rob and their guests. 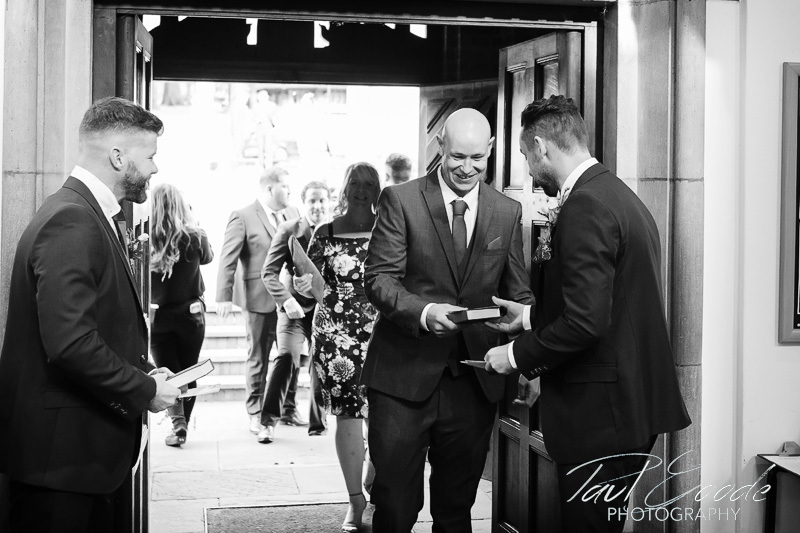 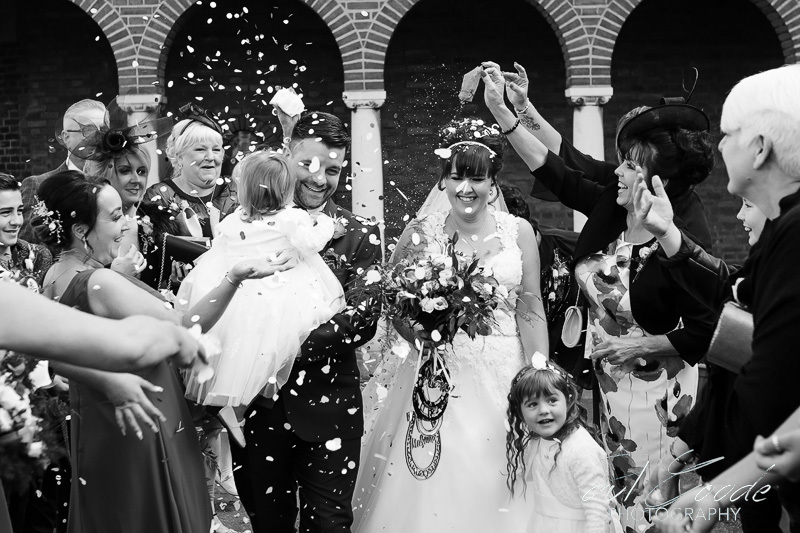 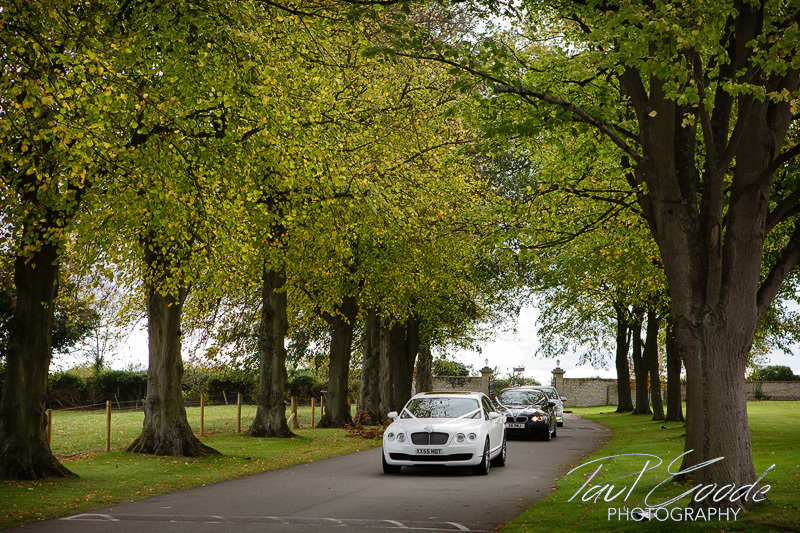 After the ceremony and some confetti throwing outside the church everyone headed over to Billesley Manor. 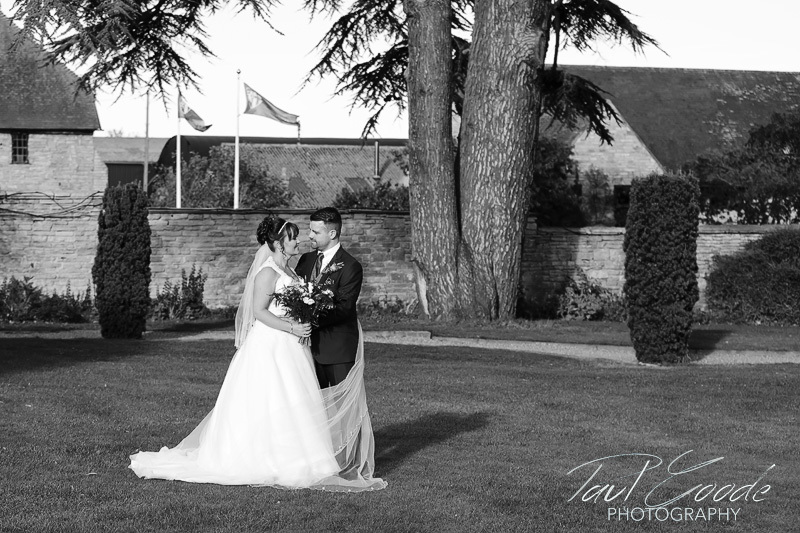 Billesley Manor really is a stunning wedding venue. 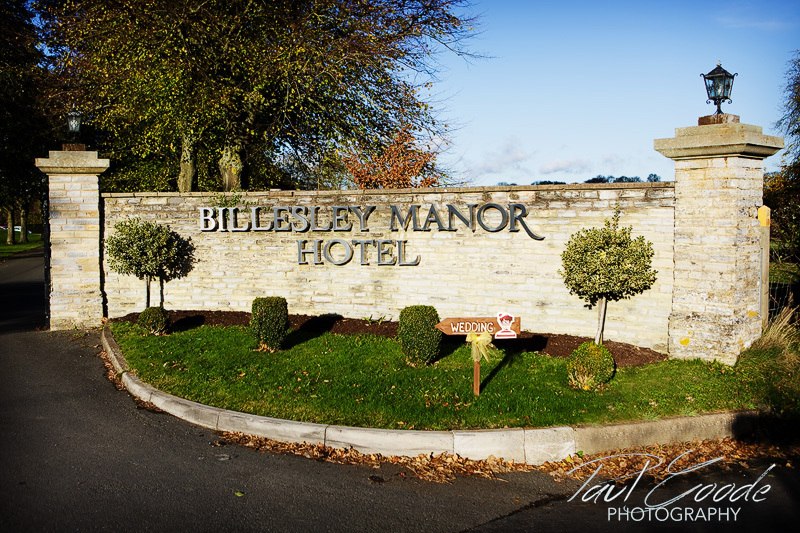 This 16th century Elizabethan Manor House is steeped in history with 11 acres of parkland. 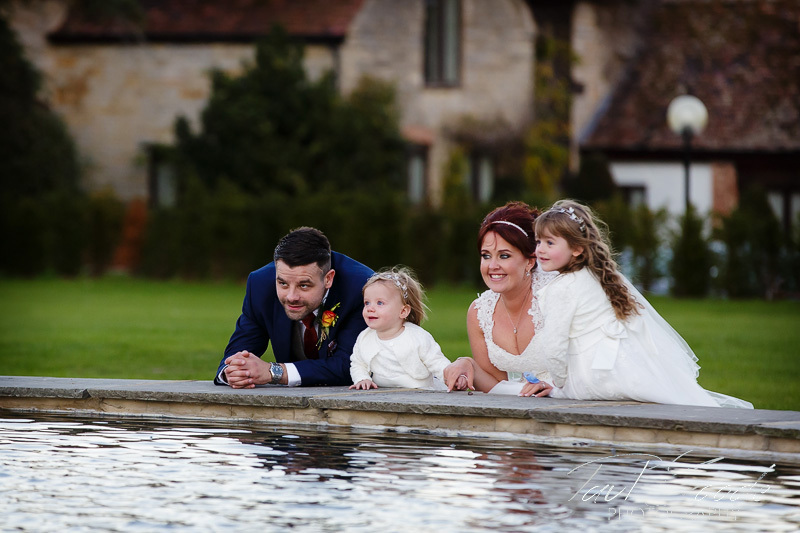 On arrival family photos were taken inside the manor due to the heavy rain, but later we all headed outside into blazing sunshine! 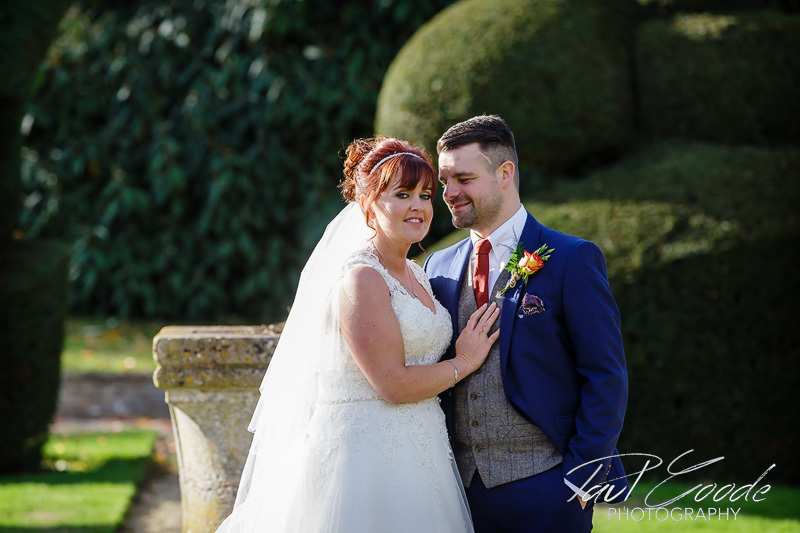 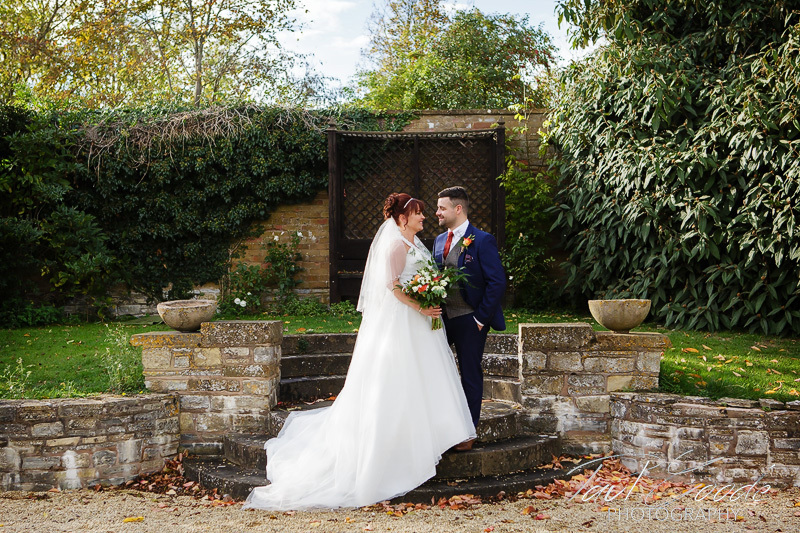 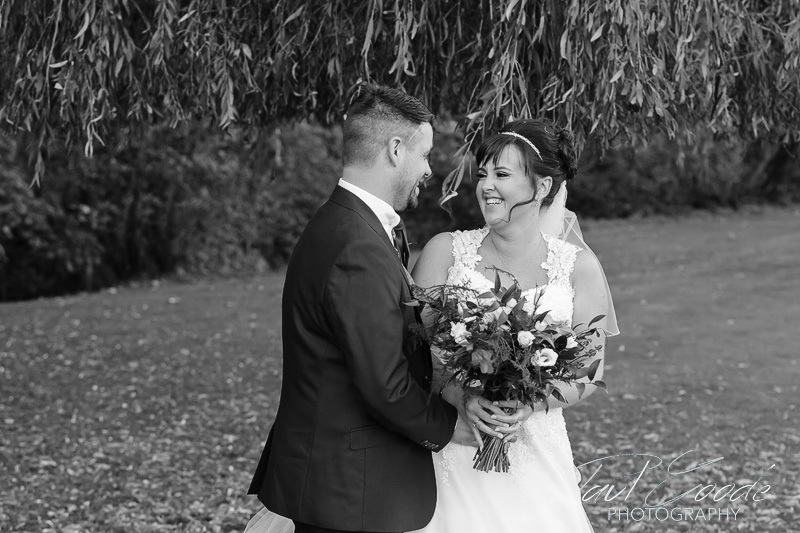 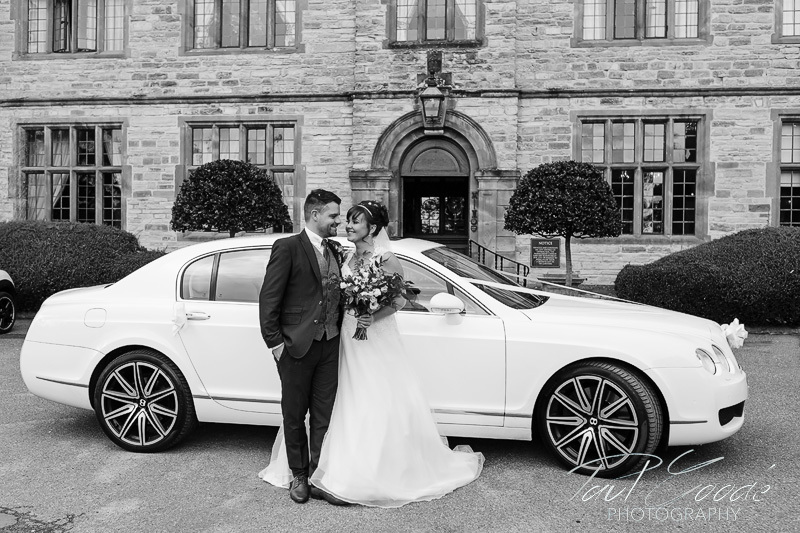 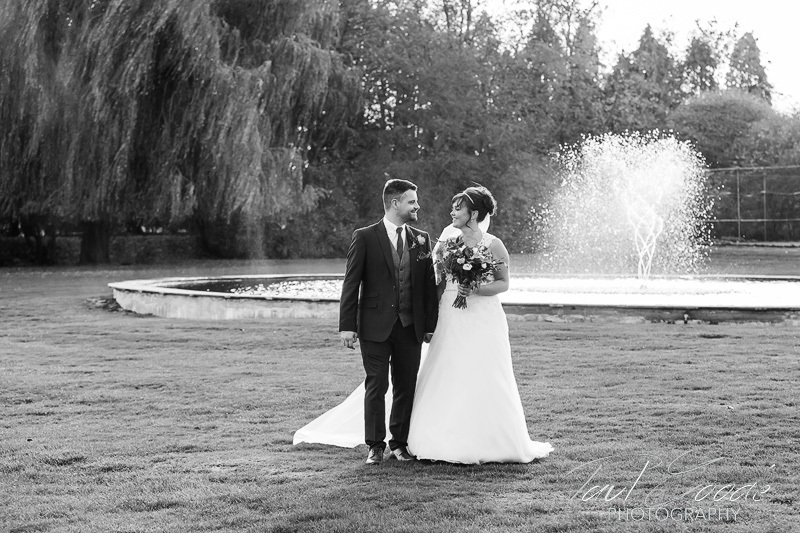 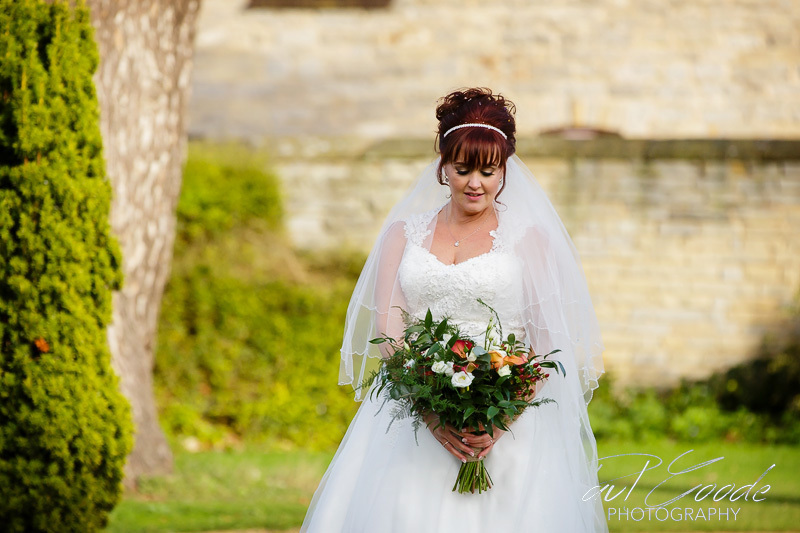 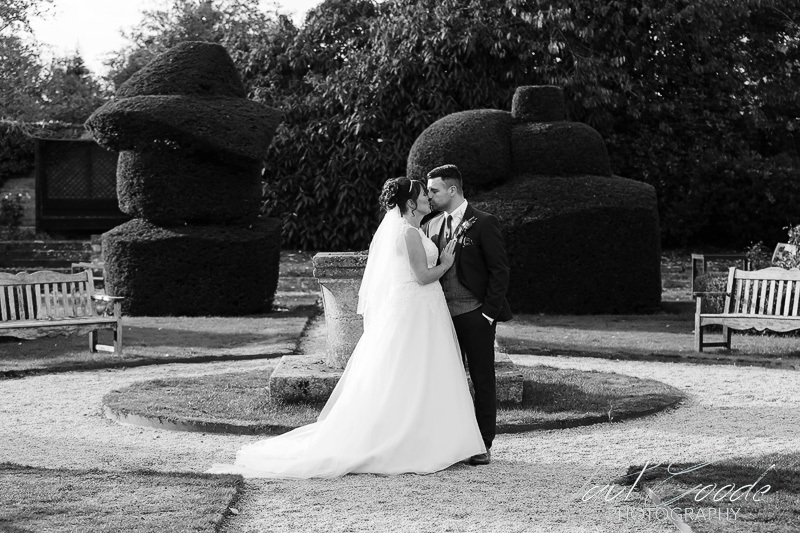 Leanne and Rob had their portrait photos taken in the ornate topiary garden. 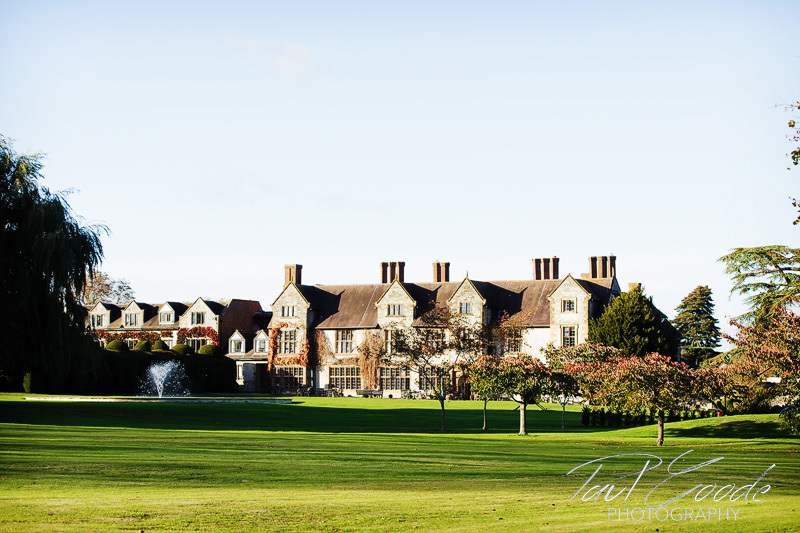 The garden was planted around 100 years ago to represent a chess board! 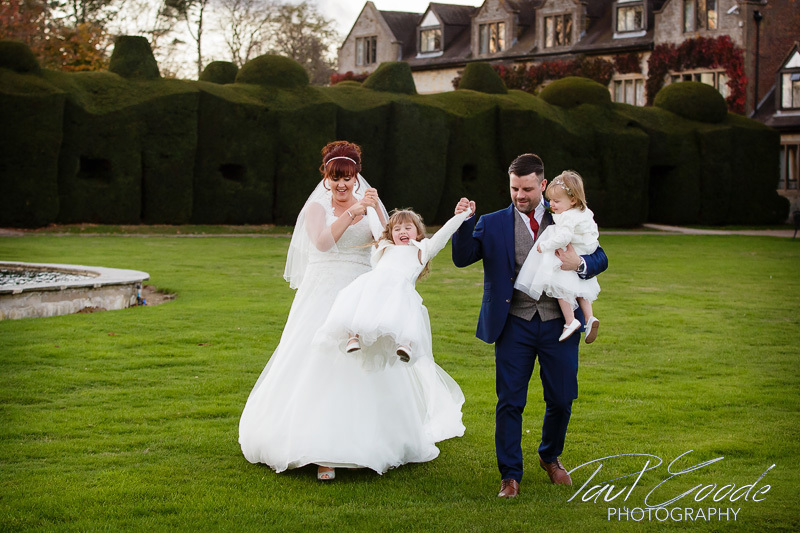 Afterwards Leanne and Rob were joined by their two gorgeous little daughters for a stroll round the grounds and some family shots. 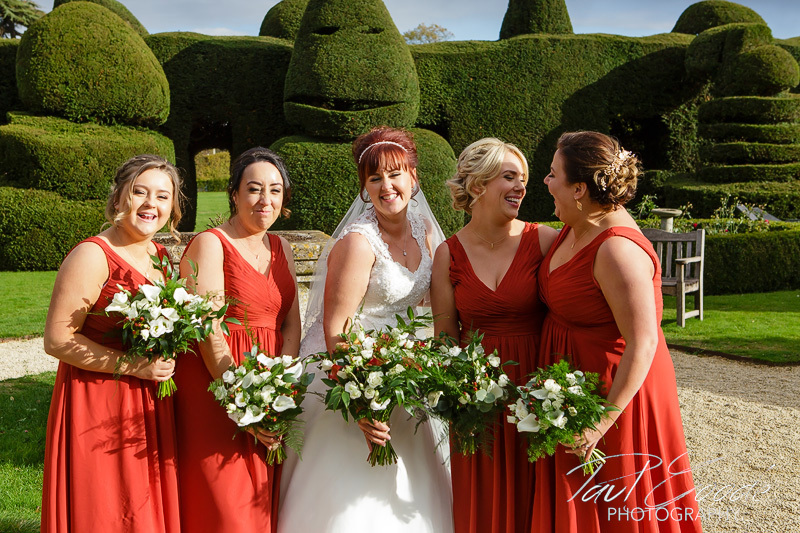 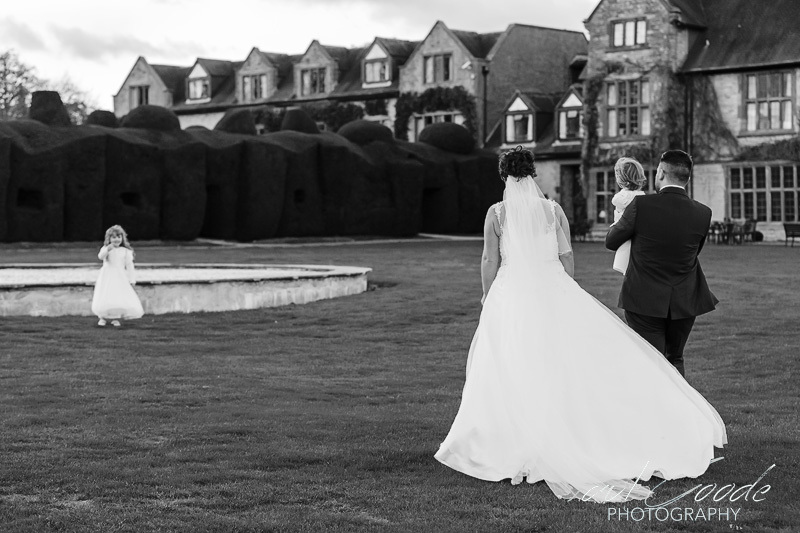 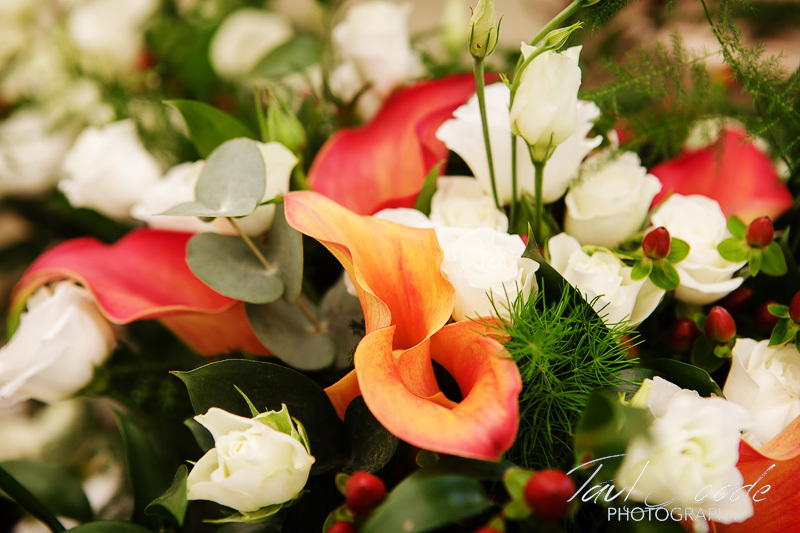 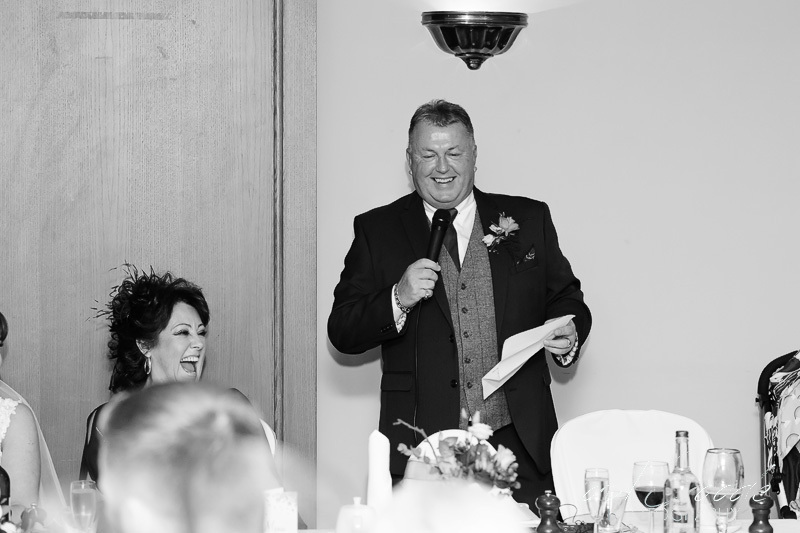 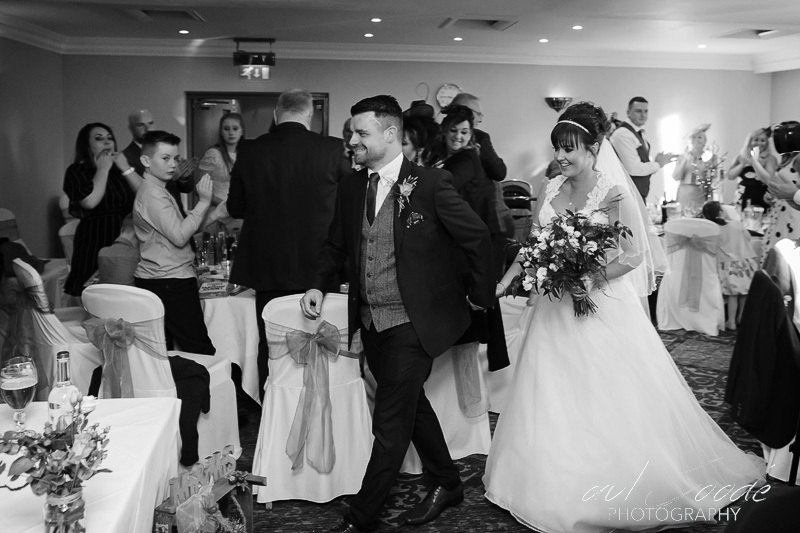 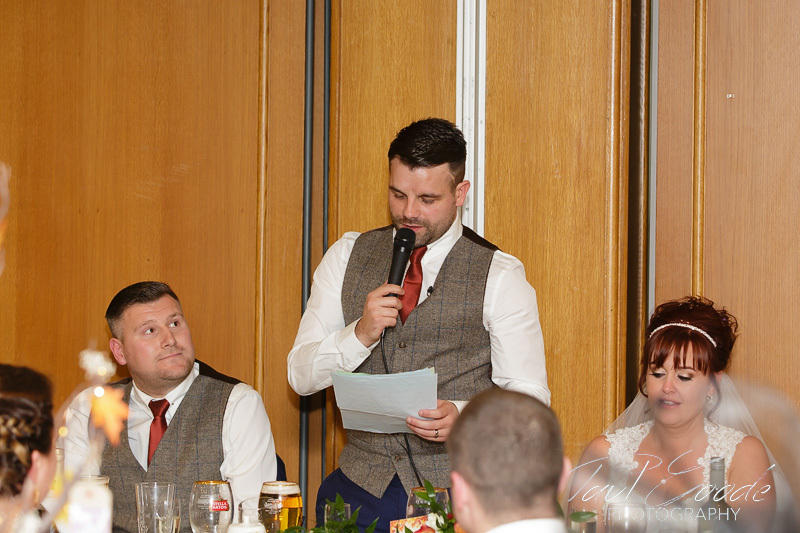 Leanne, Rob and their guests then headed into the warmth of the Topiary Suite for their wedding breakfast and speeches. 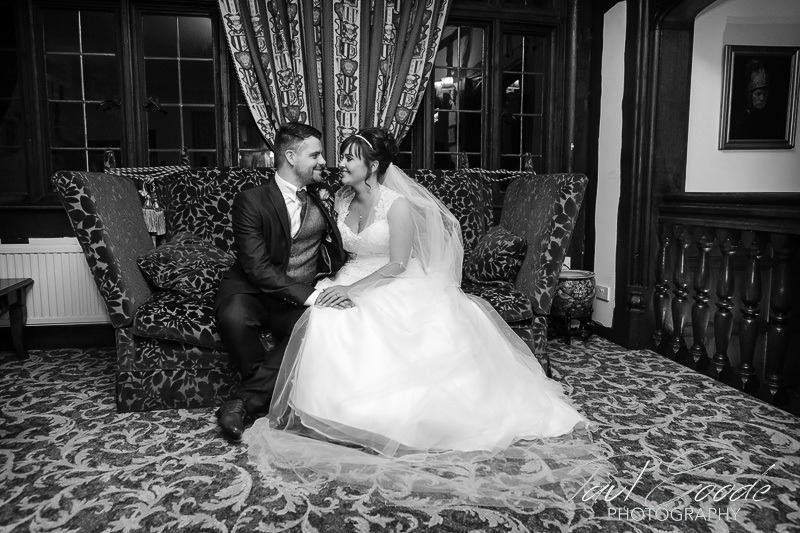 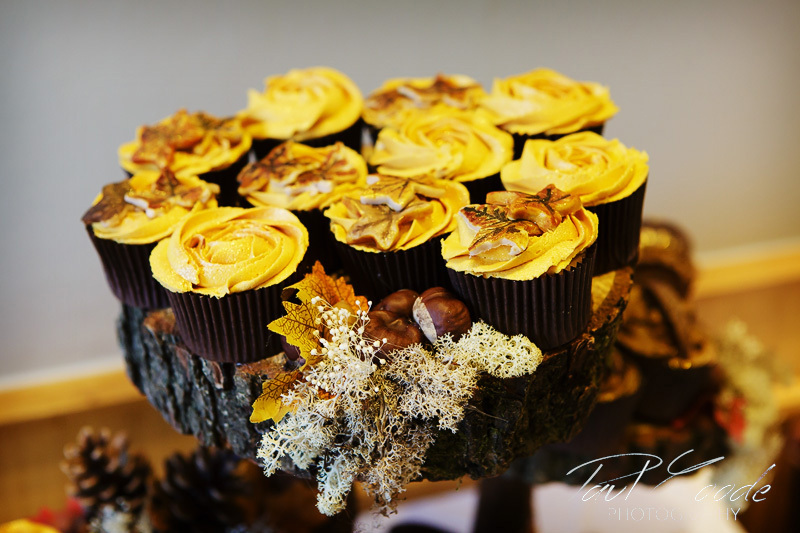 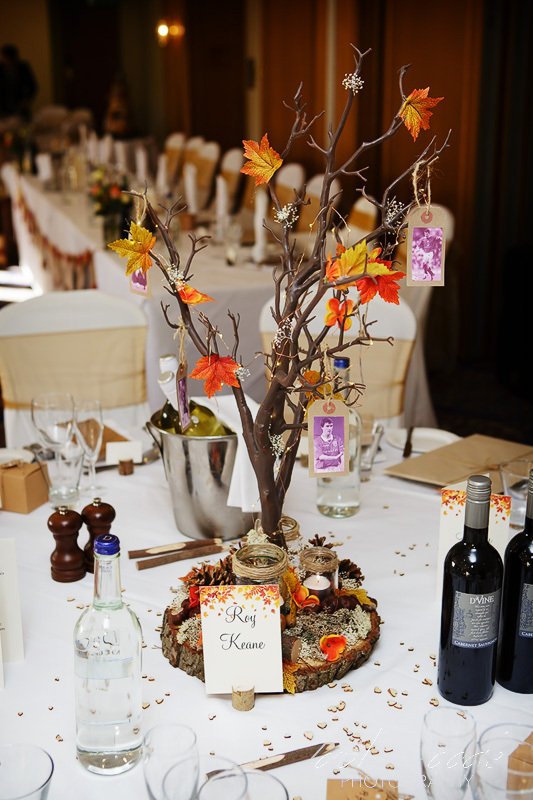 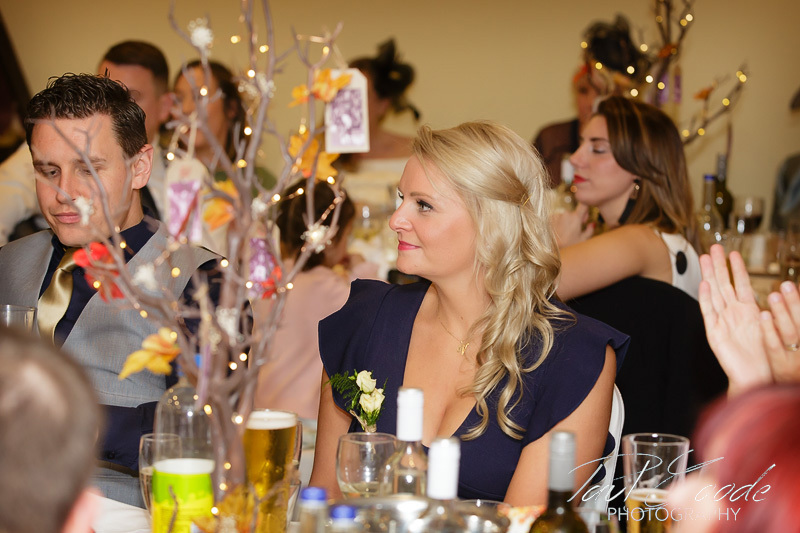 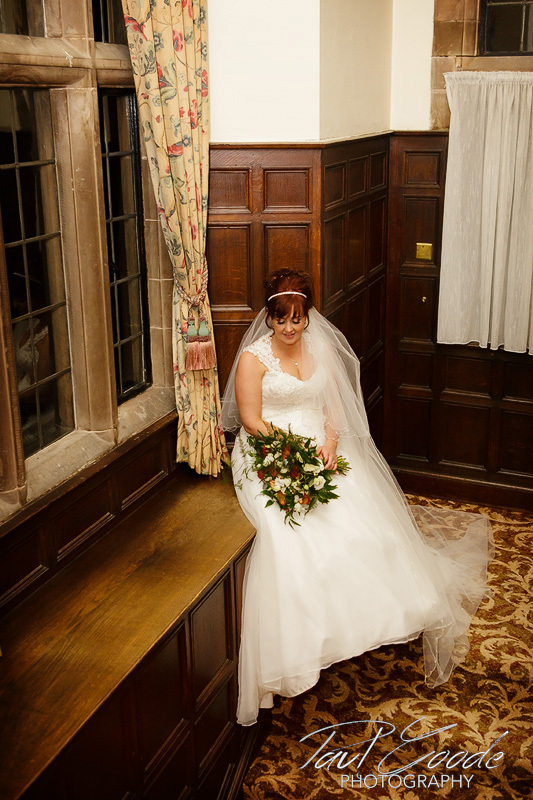 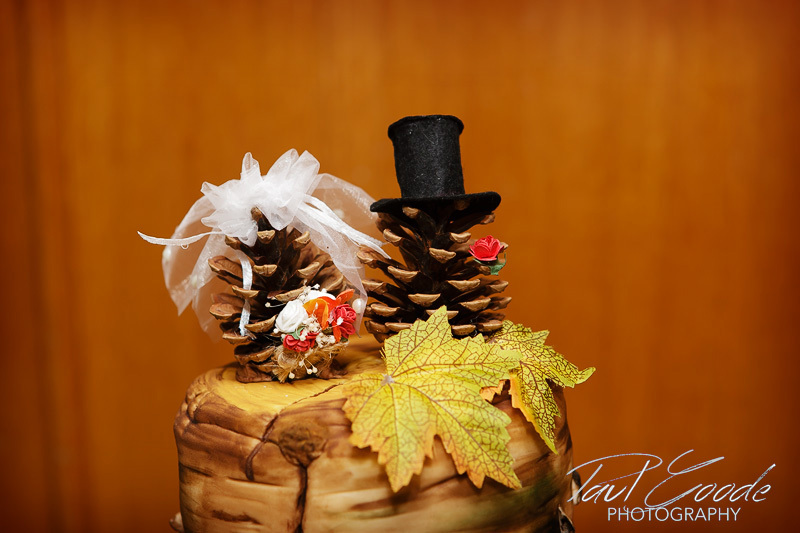 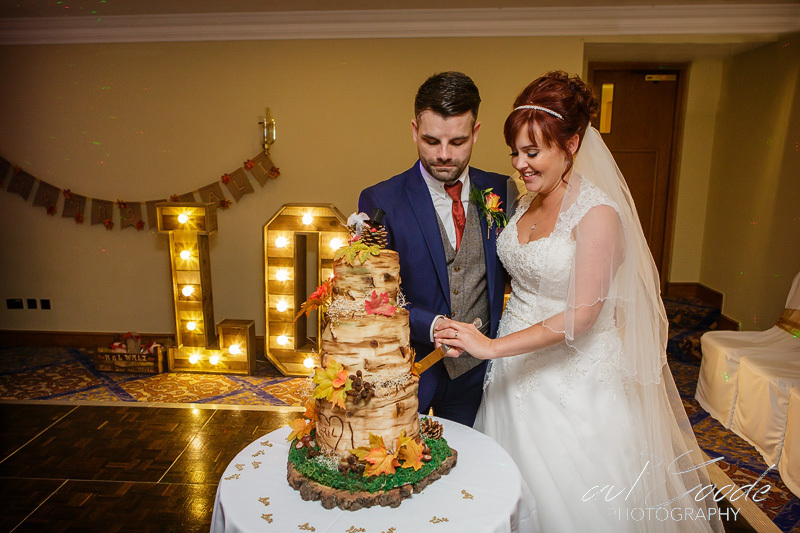 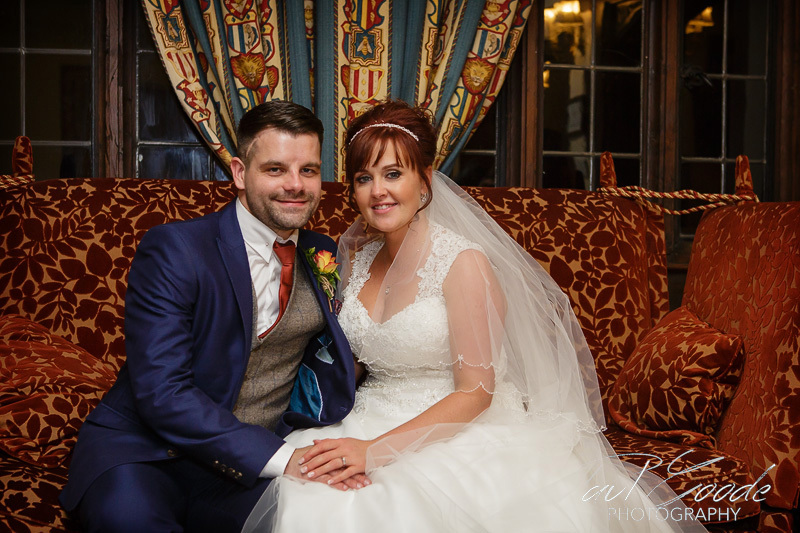 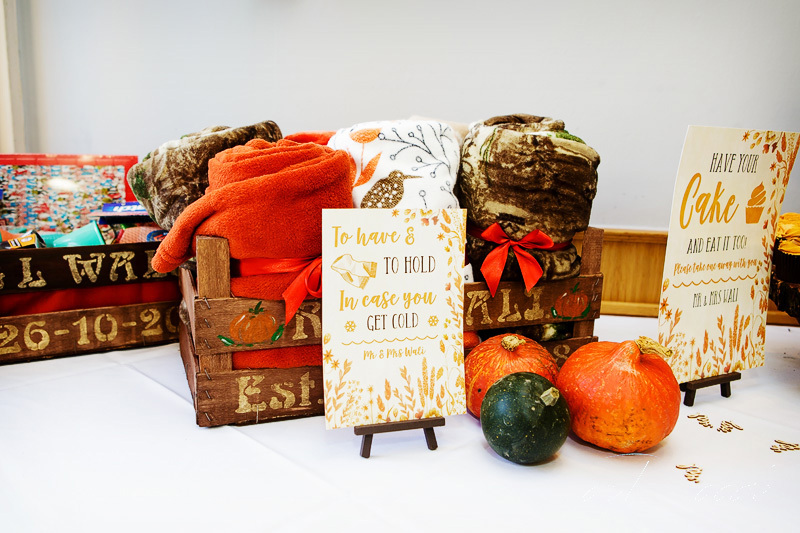 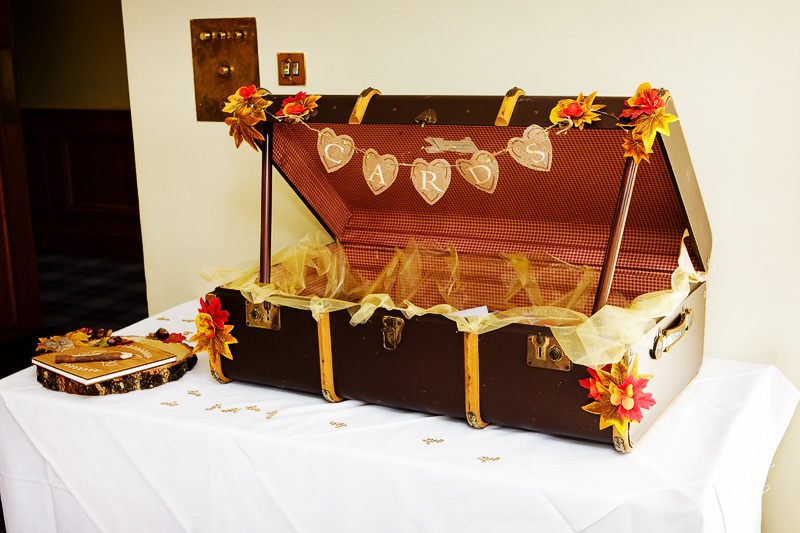 Leanne and Rob had decorated the suite beautifully to reflect their autumnal wedding complete with pumpkins! 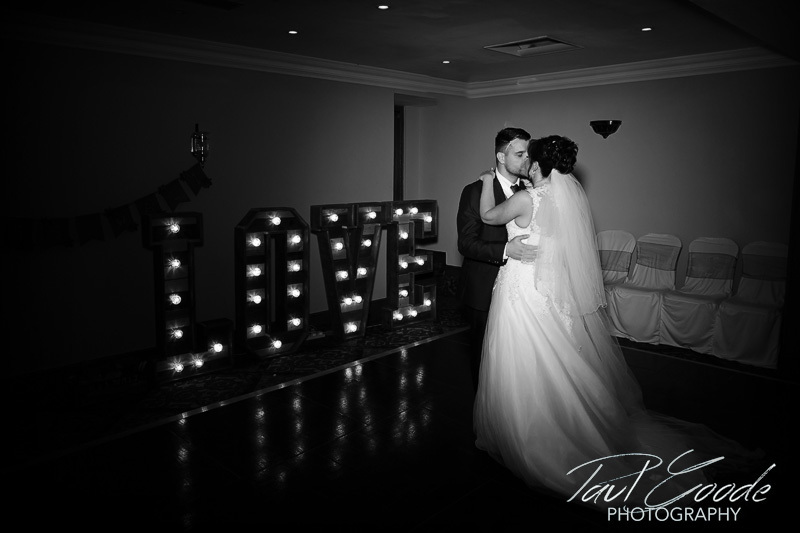 The Topiary Suite was later turned around ready for the evening’s partying which kicked off with Leanne and Rob taking to the dance floor for their first dance.